Simple question …. 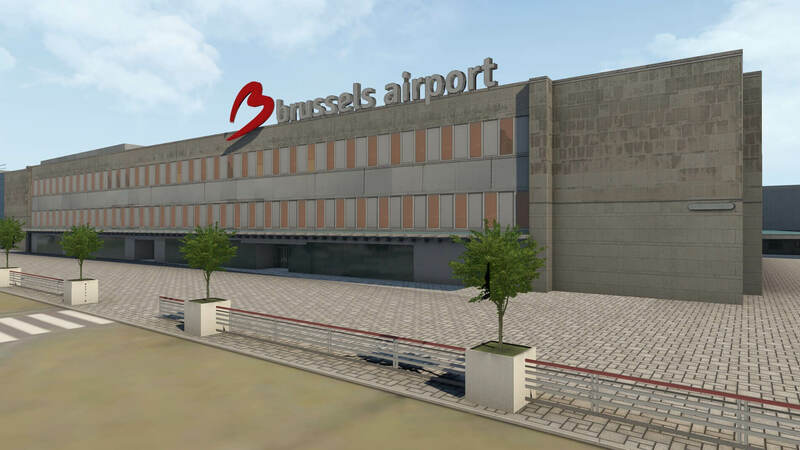 is it worth to check JustSim’s Brussels International Airport? That will be a quick and easy answer; yes! The JustSim Brussels package comes with a simple description text file as well as a changelog file. In this case the changelog file is for version 1.1 and thus the review is based on version 1.1. 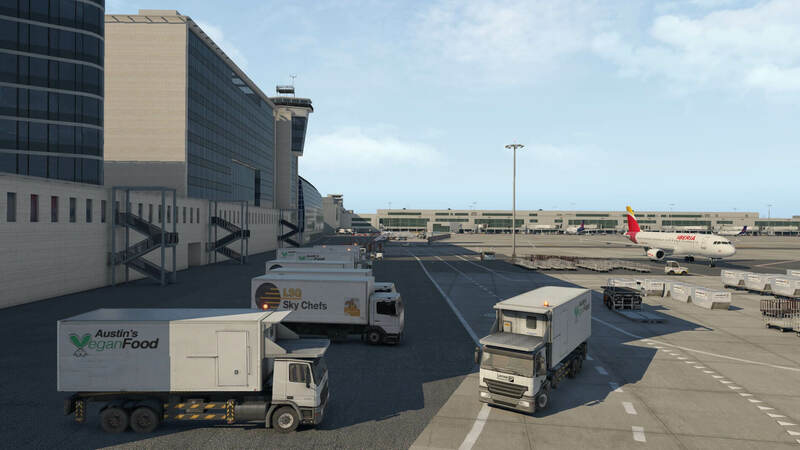 Brussels Airport (IATA: BRU, ICAO: EBBR) (also called Brussel-National / Bruxelles-National (Brussels-National) or Zaventem) is an international airport 6.5 NM (12.0 km; 7.5 mi) northeast of Brussels, the capital of Belgium. 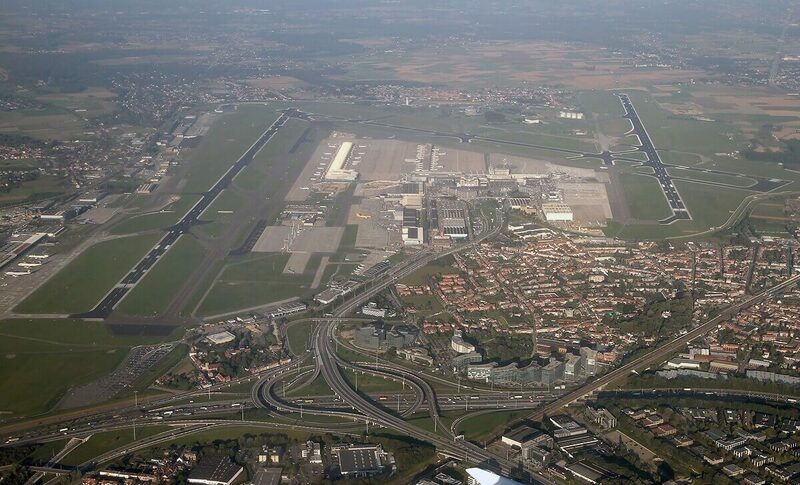 In 2017, more than 24 million passengers arrived or departed at Brussels Airport, making it the 23rd busiest airport in Europe. 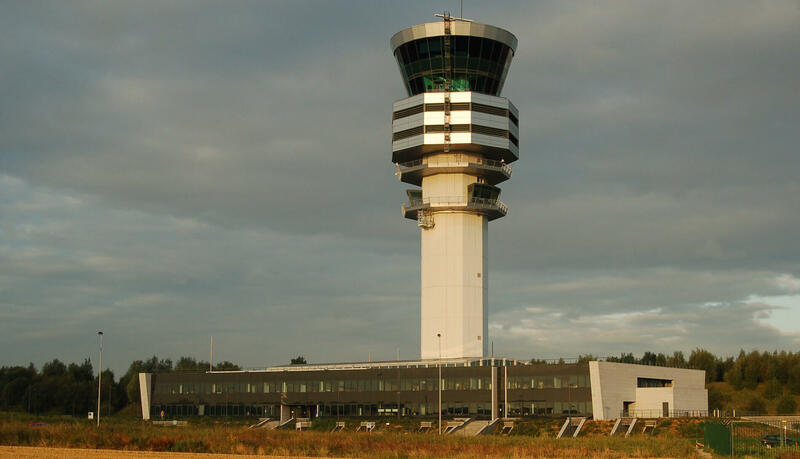 It is located partially in Zaventem, partially in the Diegem area of Machelen, and partially in Steenokkerzeel, in the Flemish Region of Belgium. 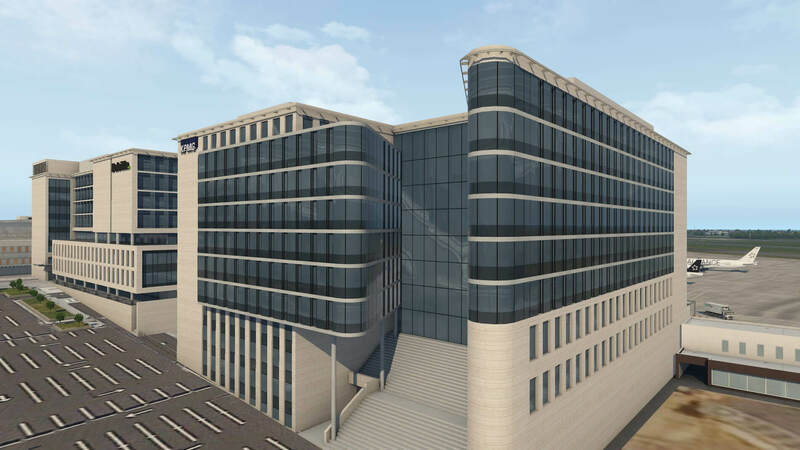 It is home to around 260 companies, together directly employing 20,000 people and serves as the home base for Brussels Airlines and TUIfly Belgium. All together an impressive list, isn’t it? Yes yes, but it’s my turn, Angelique, your personal reporter, to see how it is modeled and how real it is. During the good old days working for KLM as technical instructor and later for Lufthansa Technical Training, I’ve been working many times at Brussels Airport so I know a bit how it should look like and then in particular the maintenance and cargo area. I’m curious, you too? 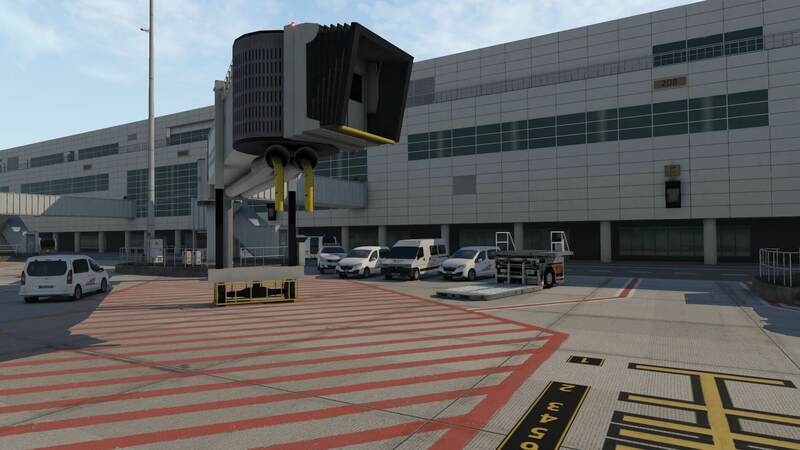 The installation is simple and straightforward when it comes to the airport add-on itself. This is also applicable for the World Traffic 3 files/folders which are natively added to the airport package. When you prefer or own JARDesign X-Life, then I come to the conclusion that there’s no X-Life file included for this airport. That doesn’t mean there’s no support for X-Life, but not packed together. When you want X-Life support, you need to download the dedicated EBBR JustSim X-Life file via this link. The package included two text files. One is a changelog file. 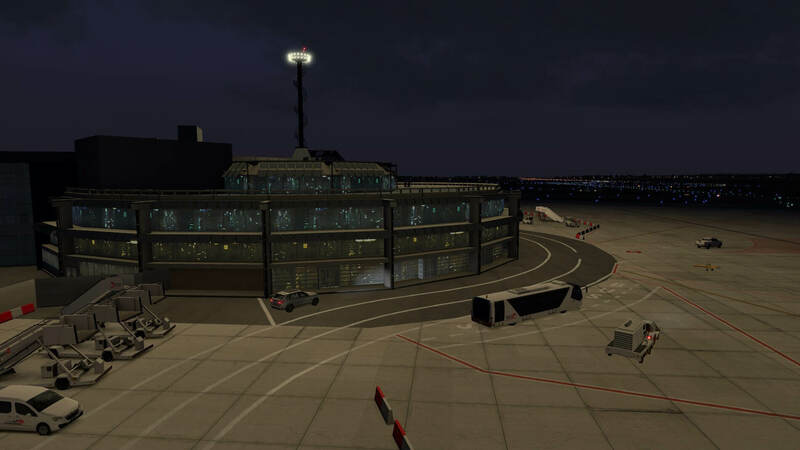 The other is a short informative text block about the airport and some features. 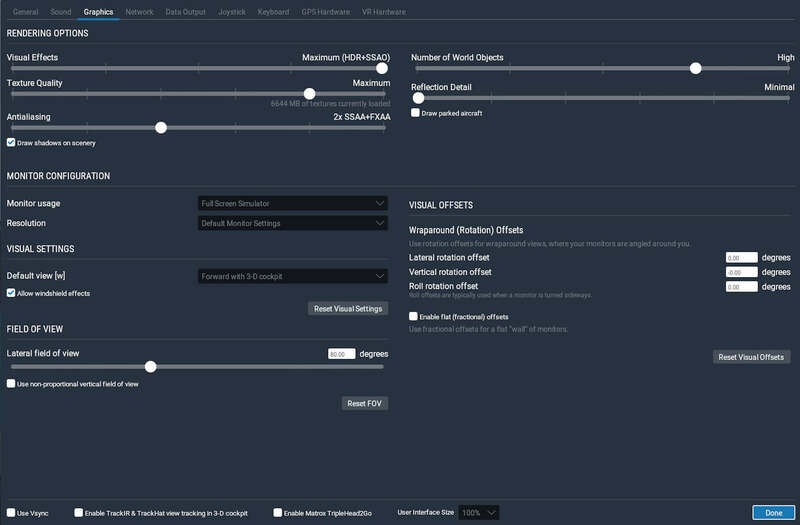 That said, there’s no manual included “what and how to set the rendering options or what other settings are needed” for smooth frame rates. How does EBBR look and feel by default? Before I will show you my own airport impressions, perhaps you and I should first ask the question …. is it worth to show you how default Laminar Research EBBR? 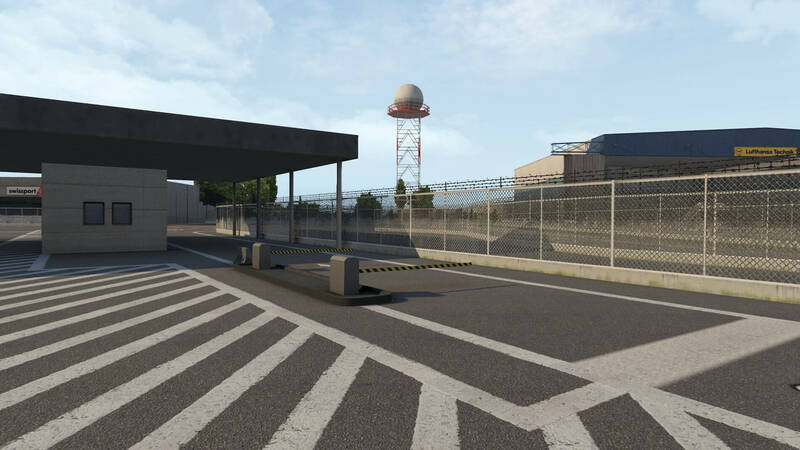 Lucky Laminar Research has modeled something that looks like an airport. 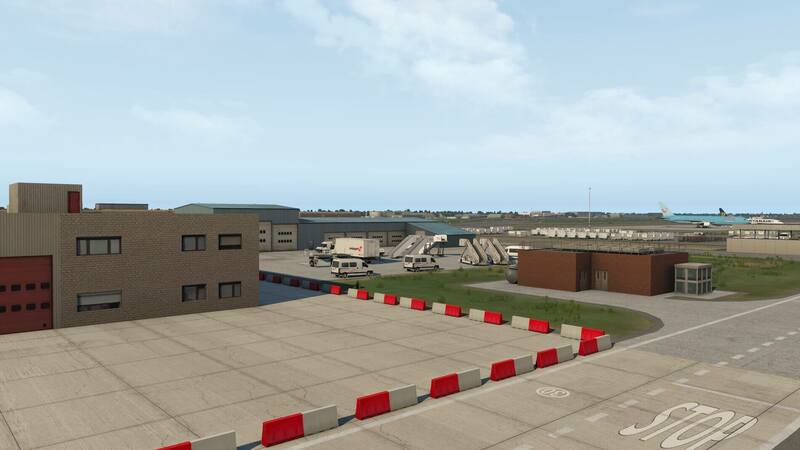 Yes, the default EBBR has runways, taxiways, a cargo, maintenance and MIL area. 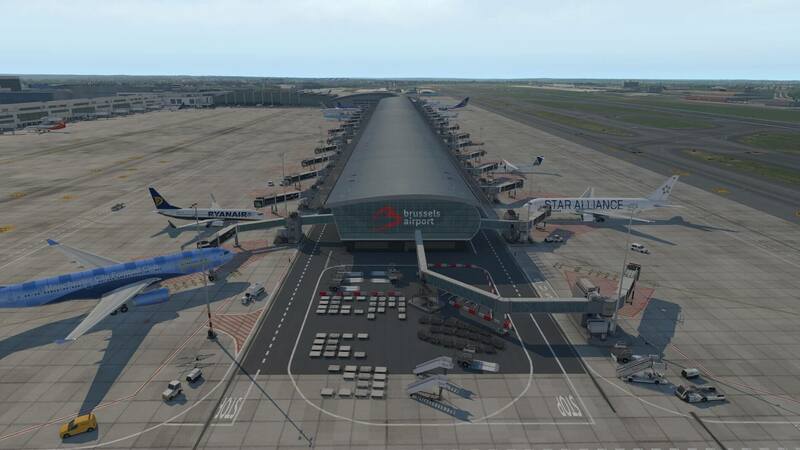 And yes, it does have terminals, but that’s it and it looks far from realistic. 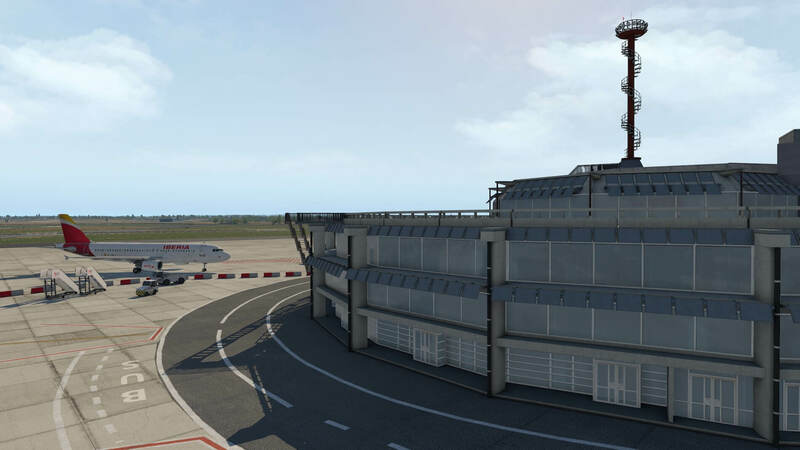 In that respect, JustSim’s modeled EBBR is a total revamp or perhaps not even a revamp, no, a completely rebuild airport that looks gorgeous although, in one way or the other, AI traffic has to be included else it’s a ghost airport. Bot more about that later. So back to the question … is there a need to show you a screenshot on how default Laminar Research EBBR looks like? Answer is short; no! Then perhaps it’s worth to bring the following to your attention “what you and I can expect and how EBBR is build up”. 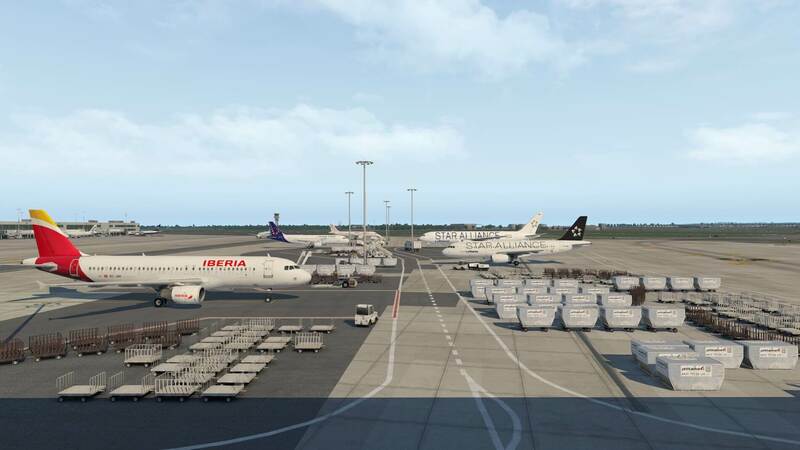 The following screenshots offer you a good view of how EBBR looks like these days although the airport has many plans to expand, extending to the year 2040. 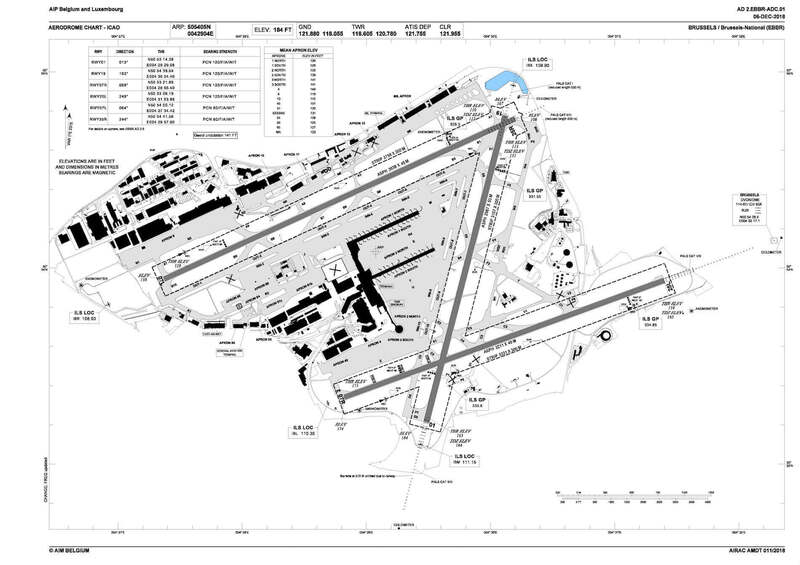 The aerodrome ICAO chart shows you the current airport layout. 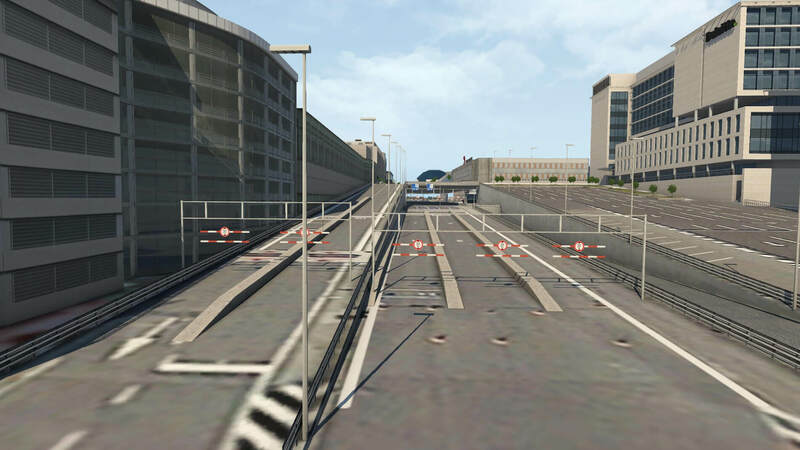 It’s downloaded directly from the official Belgium organization Belgocontrol, so up-to-date. 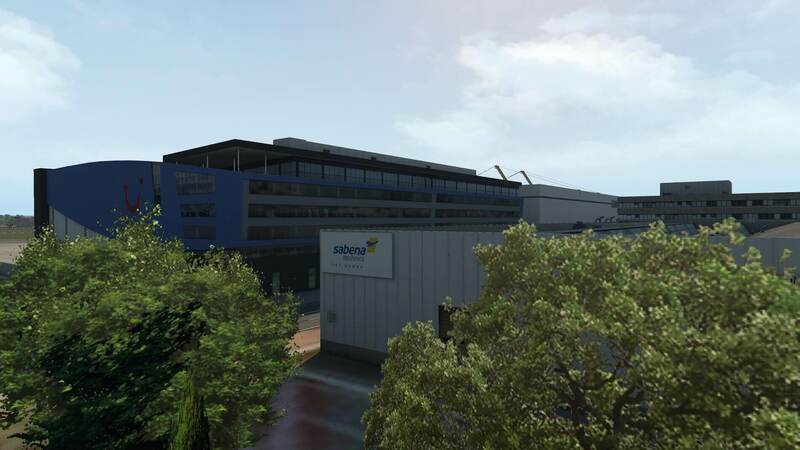 More about Skeyes which is actually the trade name of Belgocontrol, in a separate section. 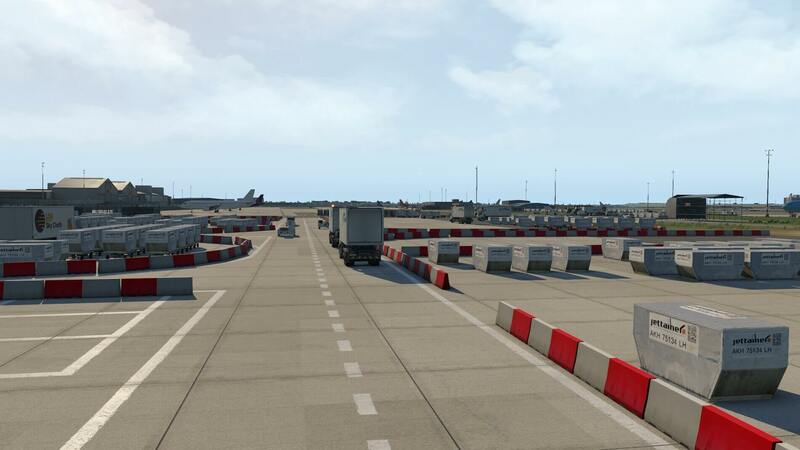 Besides the 3 runways, it has an extensive network of taxiways. A bit depending on the environmental conditions, there’s always a runway nearby. In other words, the airport is quite compact and long taxi times shouldn’t be needed. Perhaps it’s worth to mention that to reach the beginning of runway 25L, you need to taxi over the runway to reach the end since there’s no taxiway that brings you there. And in case you have your thoughts, runway 25L can be used for SID (Standard Instrument Departure) so it is not unusual to use this runway although to reach the end of the runway, you have to taxied over the runway. Anyway, there’s also a 25R which has a taxiway that run to the beginning of the runway. Some words about the aprons; you’ve got so many aprons that it’s hardly impossible to identify where you are, but I’ll try to explain this without going too deep into all the aprons. Terminal A (the latest modern building) is surrounded by aprons 1 north/south while terminal B is surrounded by aprons 2 north/south and finally, there’s also a terminal, not further identified, that is surrounded by aprons 3 north and south. But believe it or not, every spot I see has an own apron number. Just to mention a couple; along apron 3 south/north, you got aprons 4 and 40. 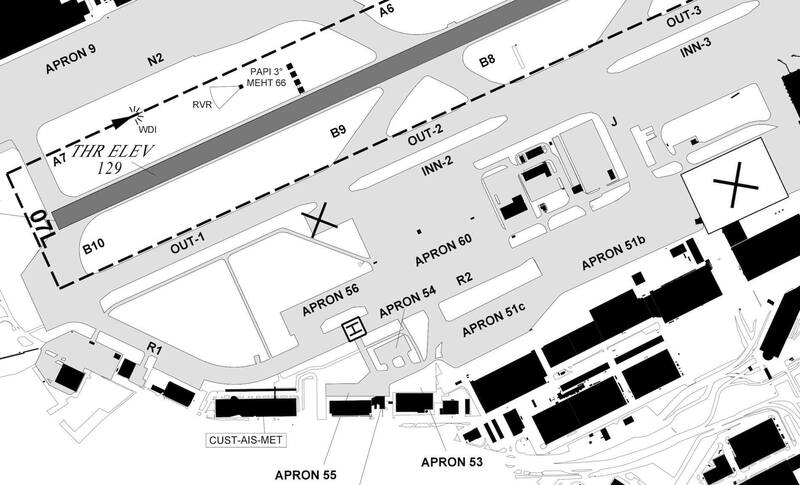 Near apron 1, in a Western direction, you’ve got aprons 51b, 51c, 53, 54, 55, 56 and 60. Oh oh, you’re still with me? And then there are even more aprons on the other side of the airport, north of runway 07L/25R. The cargo area starts with apron 9 up till and including 13, followed by the MIL (Belgium Air Force) apron. 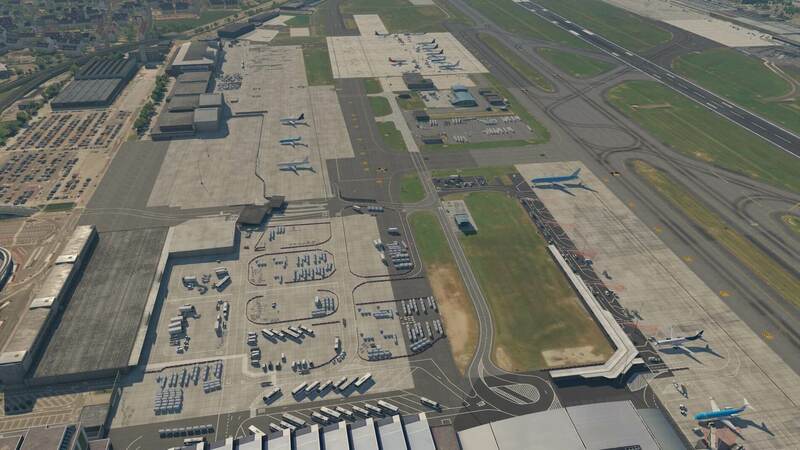 My first look and feel of this modeled JustSim airport with “parked aircraft” not ticked (Settings – Graphics – Rendering options) and default X-Plane AI aircraft not available (Flight Configuration – Aircraft – AI Aircraft), is great except that the airport is empty although it has animated ground traffic (see the feature list above). 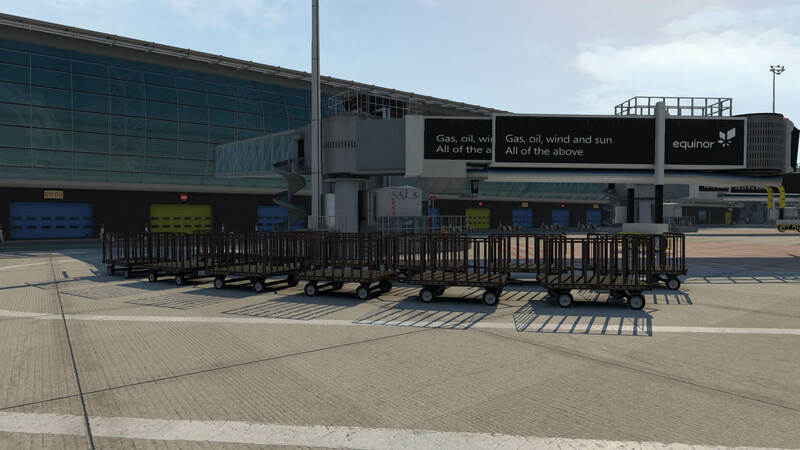 I don’t see any static aircraft which is logic since I selected it off, but also no JustSim static aircraft included into the airport programming. 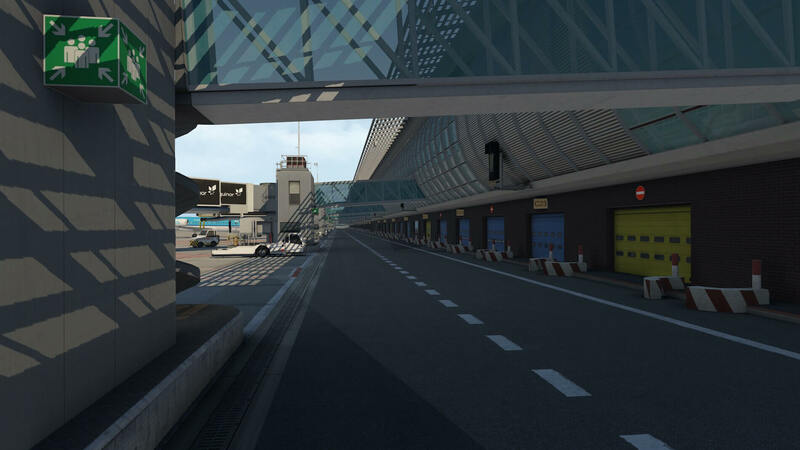 This means that when you want to have a realistic looking airport with lots of activities, you either need World Traffic 3 or JARDesign X-Life. 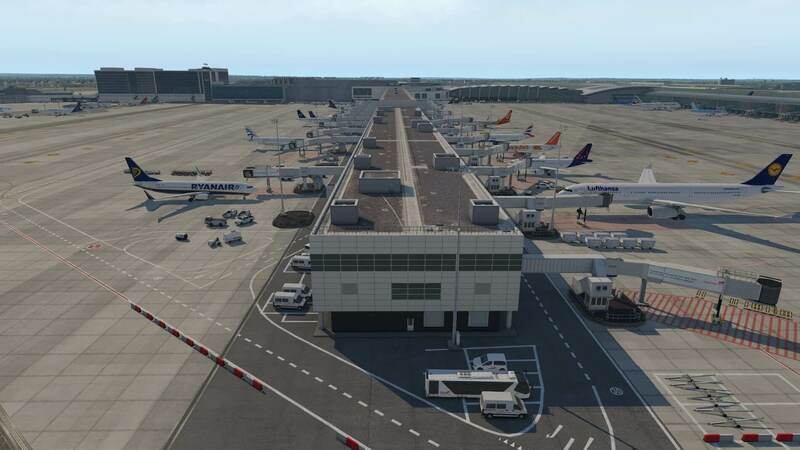 As can be seen in the feature list, the airport is compatible with both realistic aircraft traffic packages although it must be said that the necessary files for the World Traffic 3 are included and, unless I missed it (Ib know, I just told you), for the X-Life JustSim Brussels file you need to follow this download link. 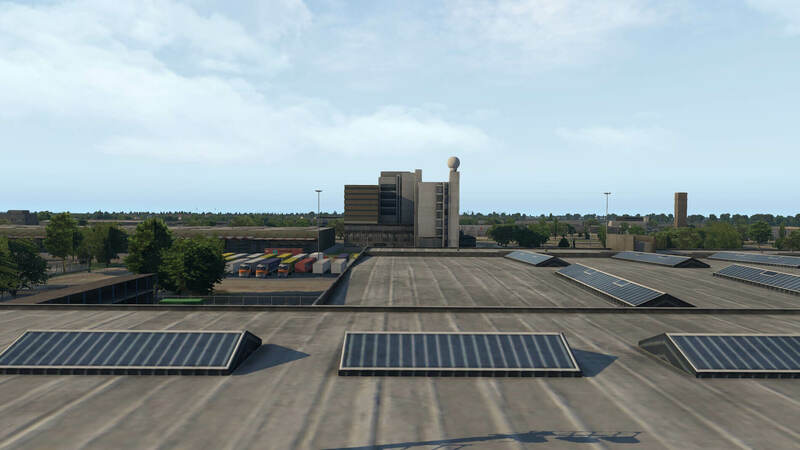 While hovering over the airport from North to South, from East to West, I’m seeking for every small corner that is modeled by JustSim. I must say, I’m impressed. Ok, there’s always something to complain, or something that could be better, but this EBBR is very well done. Right, with my current Rendering Settings, and selected a large commercial add-on aircraft including World Traffic 3 operational, I do have enough frames, but can’t say that I have 35 to 40 FPS. On the other hand, scrolling around the aircraft or wherever I am on the airport, it gives fluent movements. I start my “adventure impression” around terminal A thus the aprons 1 and noticed that nothing is forgotten. 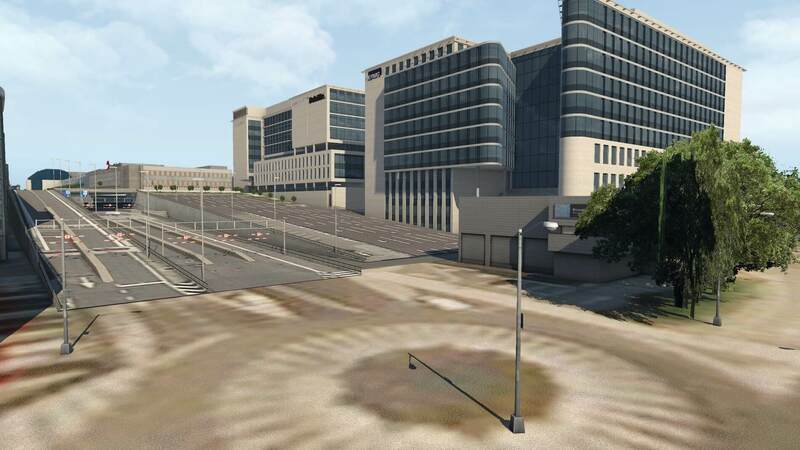 It starts already with the quality of the ground textures, the lines, the road markings, marking or signs in general, the huge number of stairs, parked everywhere and that means chaotic, but that’s reality. 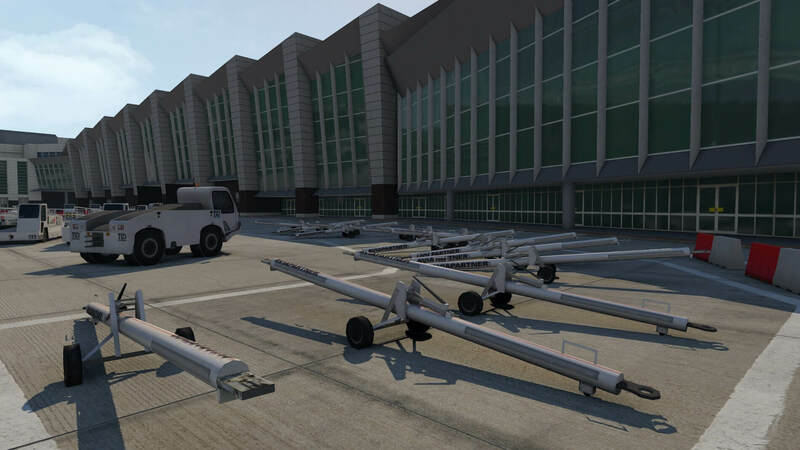 As on every airport, ground equipment should be parked at the designated places, but in general, this is hardly the case. Perhaps at small airports it’s a bit better organized, but on the larger international airports it isn’t. 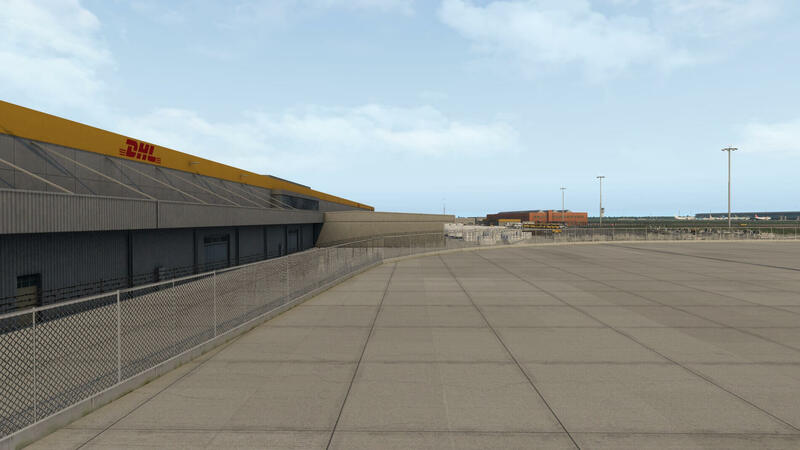 I’m not 100 percent sure, but I think the JustSim team used for the aprons photoreal material which means it reflect s the reality however, at apron 1 north you see different textures that have a different colour. 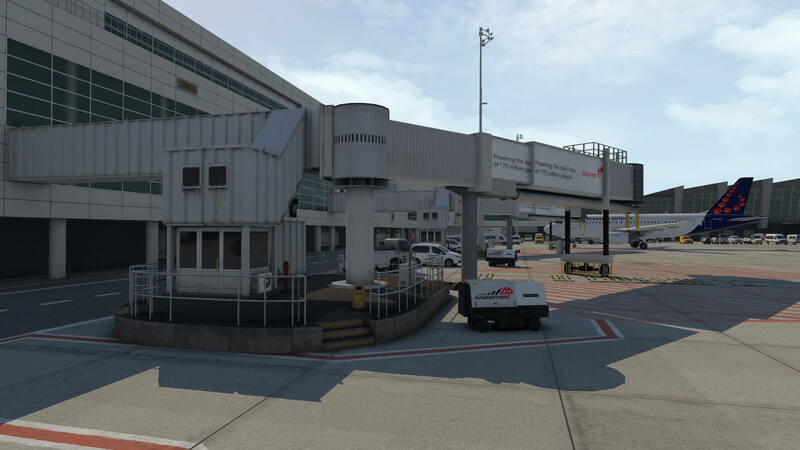 The jetways and their connection to terminal A are gorgeous. I can’t find another word for this. The developers didn’t forgot the small and tiny details. The above screenshots speak for themselves, but in particular the last screenshot of this terminal A section. 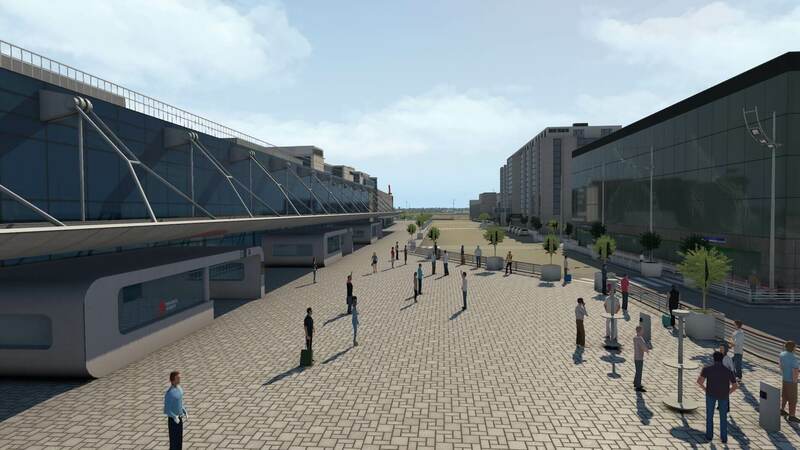 It gives an overview of the terminal A. Well done! And then I shouldn’t forgot terminal A itself. 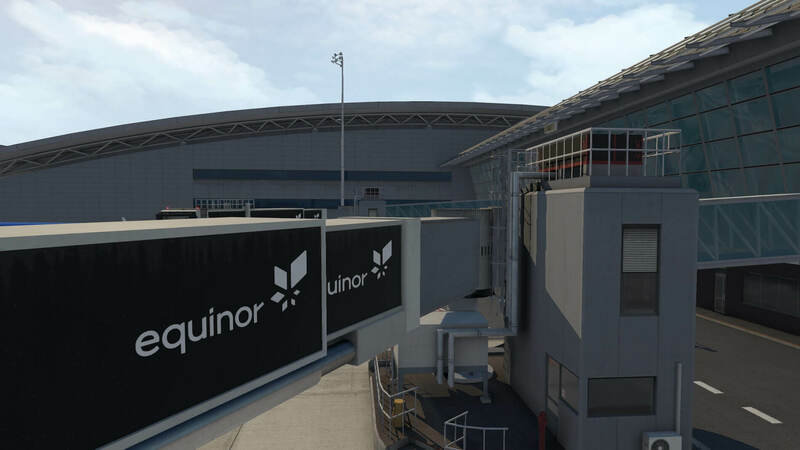 The first stone to build this new terminal goes back in the year 1999, and of course it’s ready in real and ready and awesomely modeled in this add-on. This great look and feel of terminal A is in particular visible at the end of it. 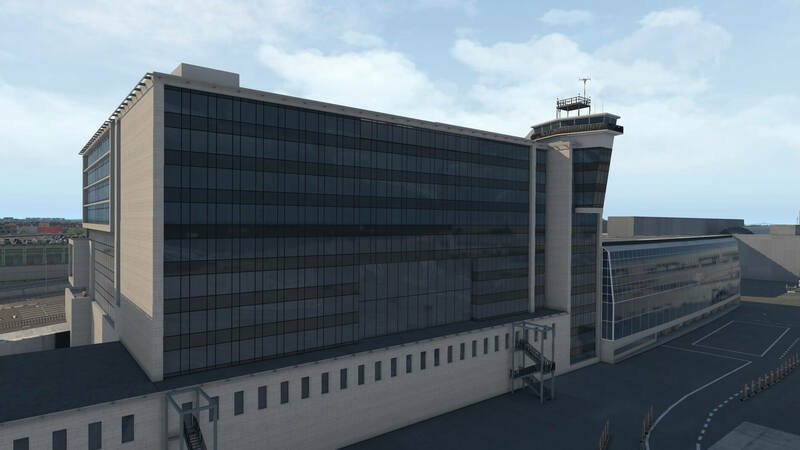 At the end of this building there’s a long jetway with the name of the airport in the window construction. 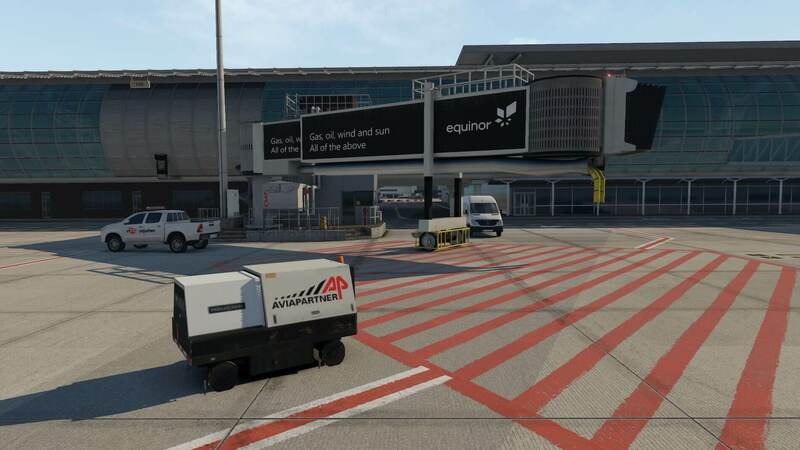 Add to this all kind of ground equipment parked at the designated places and you’ve got a “as real as it should be” EBBR. 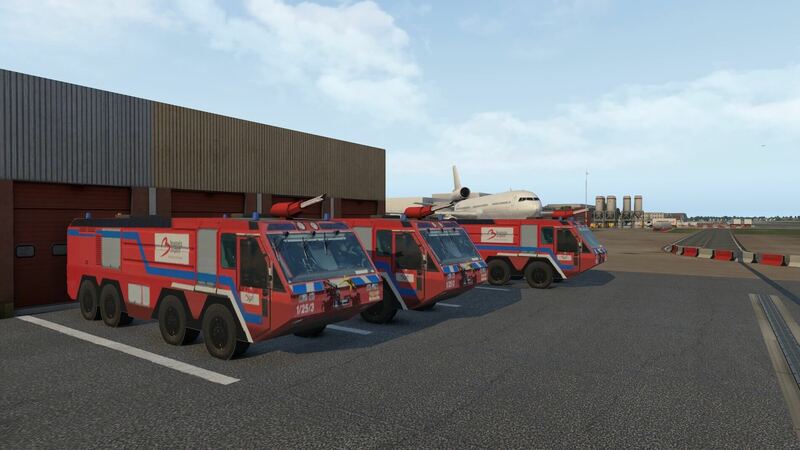 When you and I have our doubts about all the ground equipment if they are modeled by JustSim, believe me, they are! 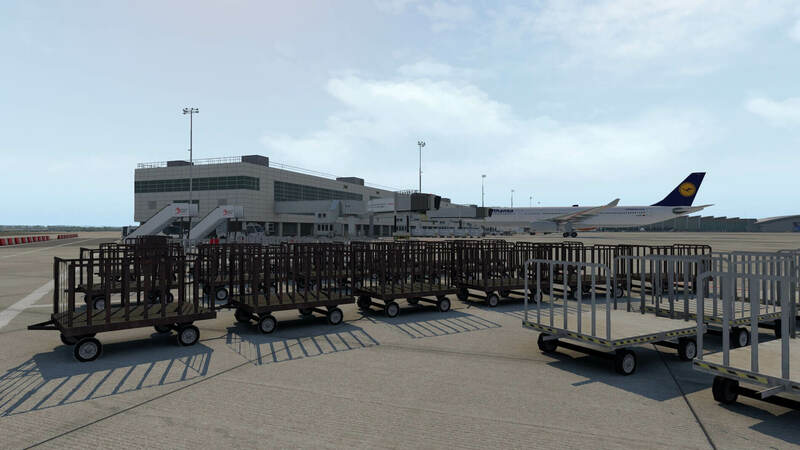 The simple stairs that are parked at the end of terminal 1, the brand new and rusty baggage carts are great examples of own modeling. I’m not 100 percent sure if all the Aviapartner objects are made by JustSim, but on some objects I see mirror imaged text, so perhaps this can or will be updated at a later time. From terminal A, I walk to terminal B, which is a bit older. 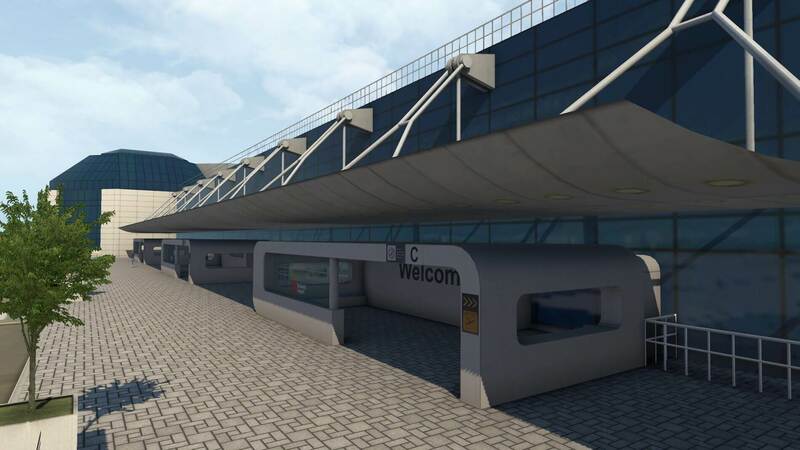 But what is not old, is the connection between terminal A and B and although many fancy designs have been developed, the current connection between the terminals is of a more straightforward design. What is good, no, what is very well done in the way how it is modeled. 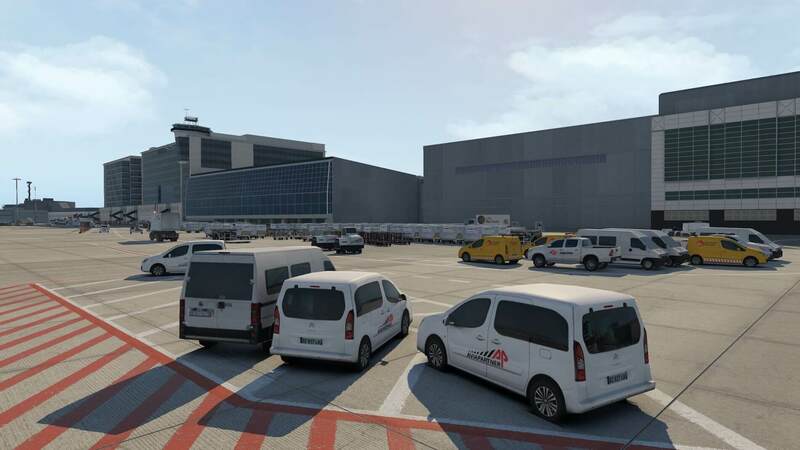 It is just a building, but together will all the ground equipment around it, the passing road underneath the building to the other side/apron, looks good. 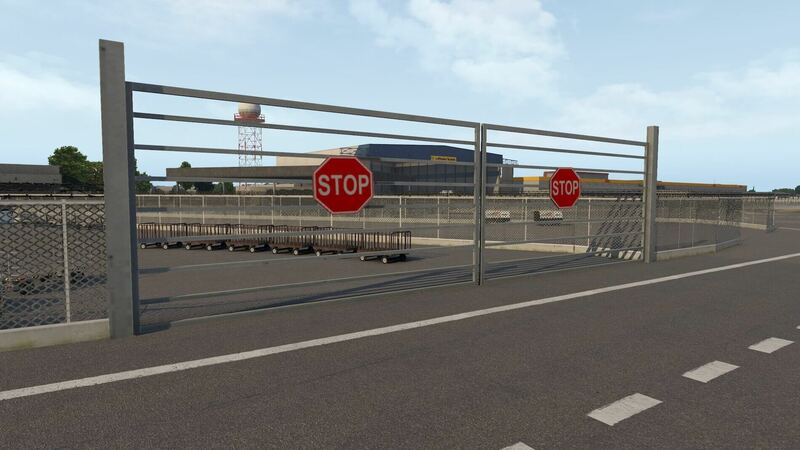 And not to forget the concrete barriers and steel constructions barriers, situated along the road and apron. Leaving the connection behind me, I walk along the old but well modeled terminal B. The basics are the same for this terminal with aprons. There’s lot to see, lots to explore but above all, a total different look and feel. And nothing wrong with that. Let me straight with that; terminal B is well modeled and when you compare it to the real building, it’s just as real as it gets. This is not Lego building! No, this is hard and realistic modeling work. 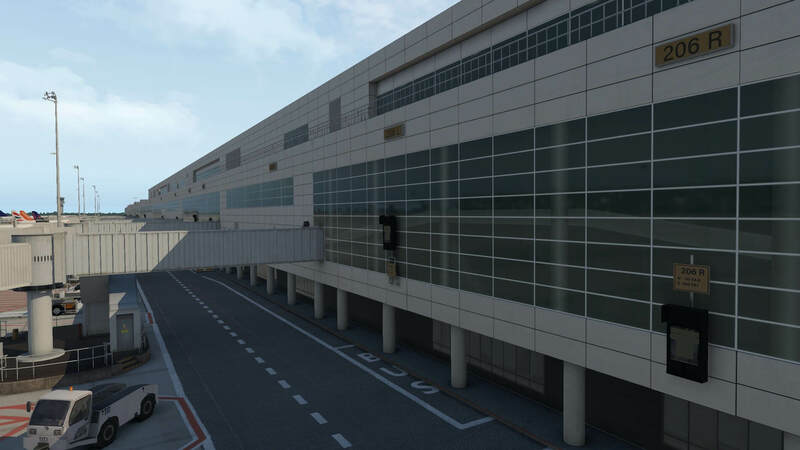 To make it even more complicated, the jetways are totally different and not from a stock Lego block, no, all modeled dedicated for this airport. 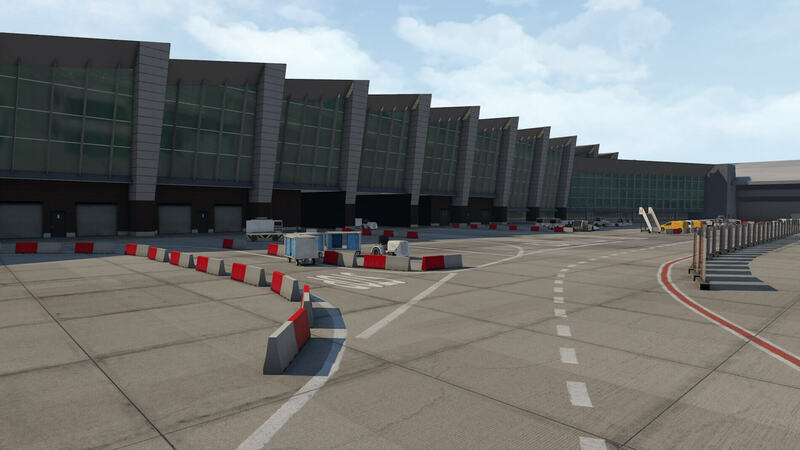 The jetways looks more simplistic, you think so? No, this is the way they look in real. 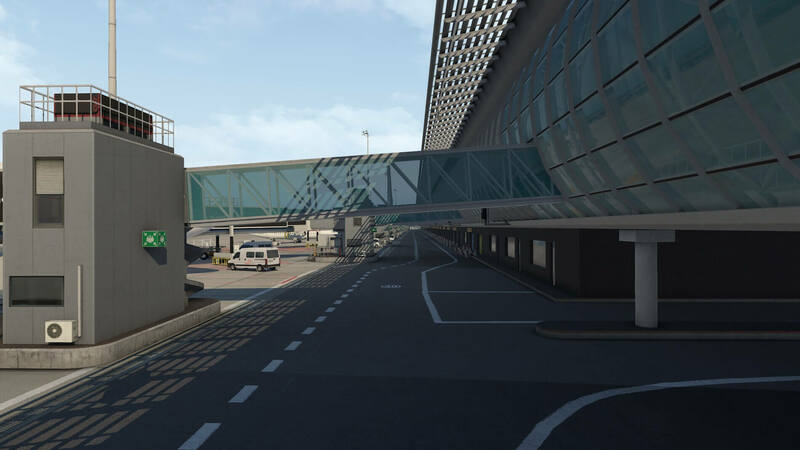 This is how it has to be and that these terminal B jetways are totally different then the previous discussed jetways, is only great news. JustSim didn’t make it themselves easy! 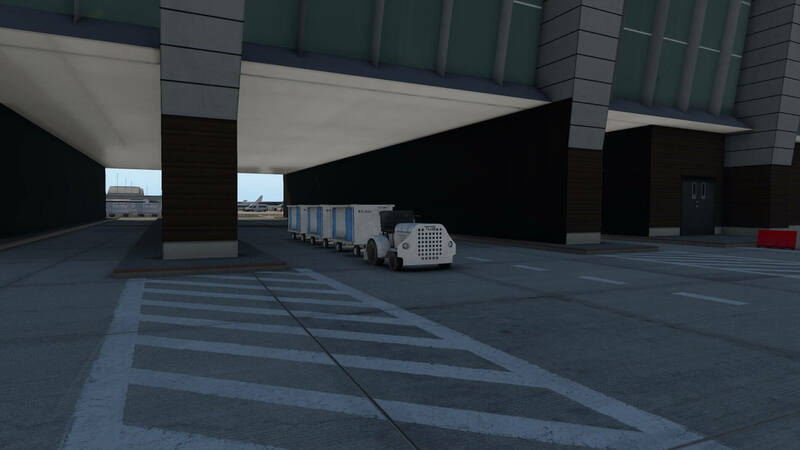 As I saw at terminal A, it’s also around terminal B a bit chaotic when it comes to the parked ground equipment. 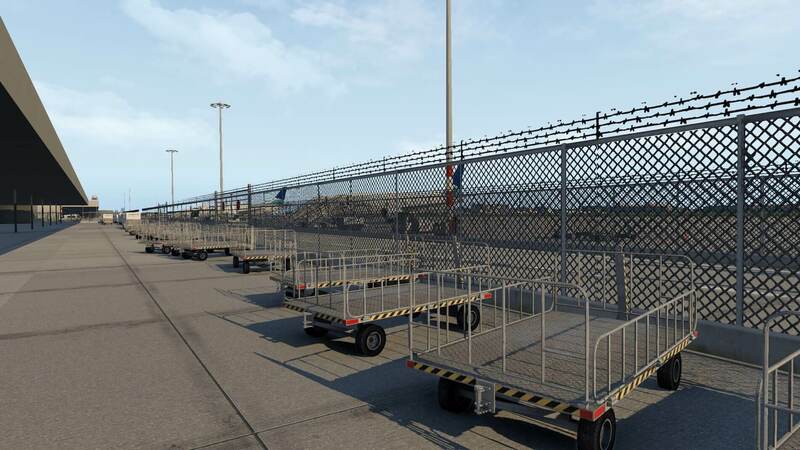 That said, you’ve got lots of static ground equipment objects (small and big stairs, old rusty and brand-new baggage carts, belts to unload baggage from the cargo holds, GPU (Ground Power Units), passenger buses, authority vehicles, hi-loaders, pushback trucks, cargo belly containers and last but not least, tow bars) and a lot of animated objects that are linked to the ground traffic plugin. From the south side of terminal B or if you wish apron 2 south, I move on to the apron 3 south and north. Although the buildings along these aprons are logically different, the aprons, the concrete, the tarmac whenever applicable, the ground equipment and so on, is the same. 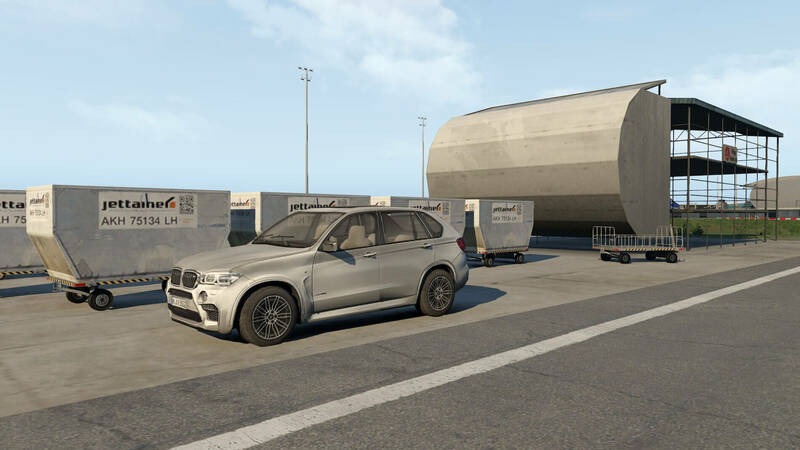 Compared to the previous aprons, I spot here as lot more cargo containers that are intended for the aircraft belly’s. The first buildings I see along the road from apron 2 to apron 3 are buildings that belong to the KPMG and Deloitte, probably their headquarters. Very well modeled with eye for details, but that’s not new. That’s what I spotted the moment I started my EBBR exploration. It seems to me, and that’s how it is in real or how it has been expanded, that old buildings are connected to newer ones, and then another building was added. This gives the overall an “as real as it gets” look and feel. Think for example about London Gatwick or London Heathrow. 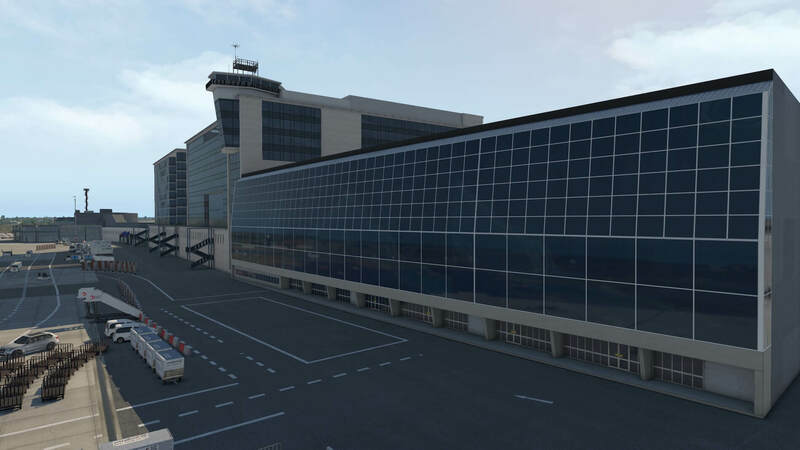 Initially started as a small airport, and time by time terminals and/or other buildings where added. They never had the same shape and/or design. The same with EBBR but neither less, well modeled. While walking towards apron 3 south/north, I spot the apron on my left-hand side. A couple of World Traffic 3 aircraft are parked, and everywhere I look, I see ground equipment, but that’s not new, right? 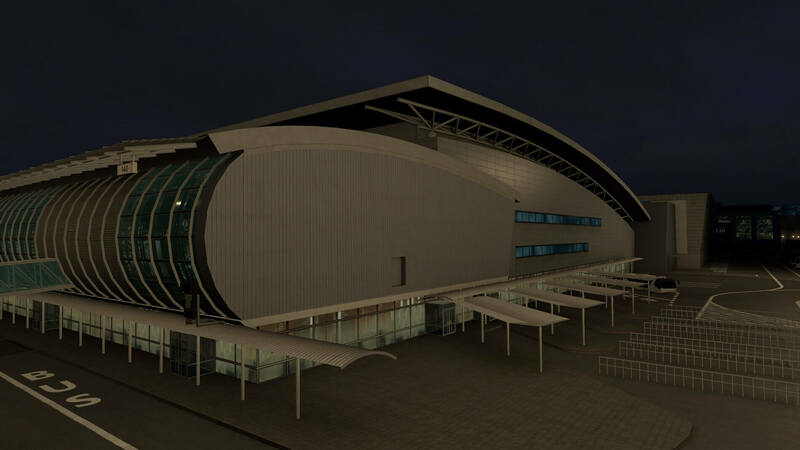 I’ve mentioned that many times and that gives the modeled airport this great look and feel. Catering trucks from LSG Sky and Austin’s VeganFood are either parked in-front of the Deloitte building or are coming back are driving out. 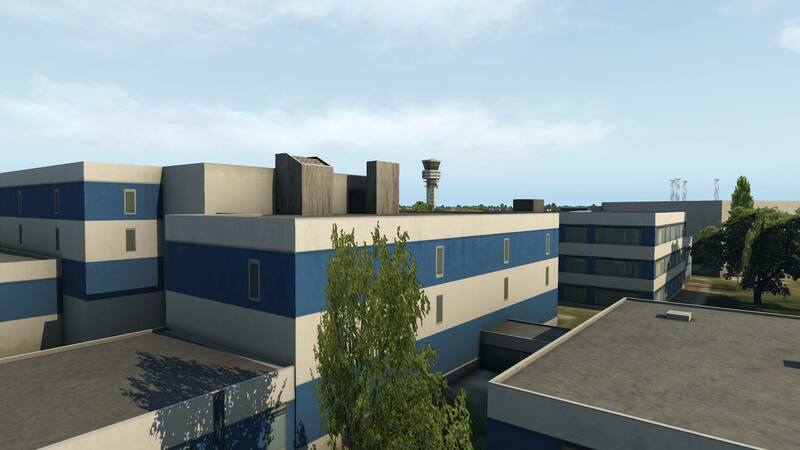 The satellite building with around aprons 3, looks weird although there’s nothing wrong with it. The weird part is that although it’s on the airport map, nothing is mentioned about it so I’ve got no idea if it is a terminal or not. Whatever it is, it’s well modeled with, again, eye for details. It doesn’t have any jetways, but it has parking numbers so I may assume that passengers are picked up and brought to the aircraft with buses. I only noticed, has nothing to do with the building, that sometimes the pattern along the road where and how buses or trucks drive, isn’t always correct. Sometimes these moving objects drive into a static passenger bus while other animated objects drive perfectly on the middle of their lane. 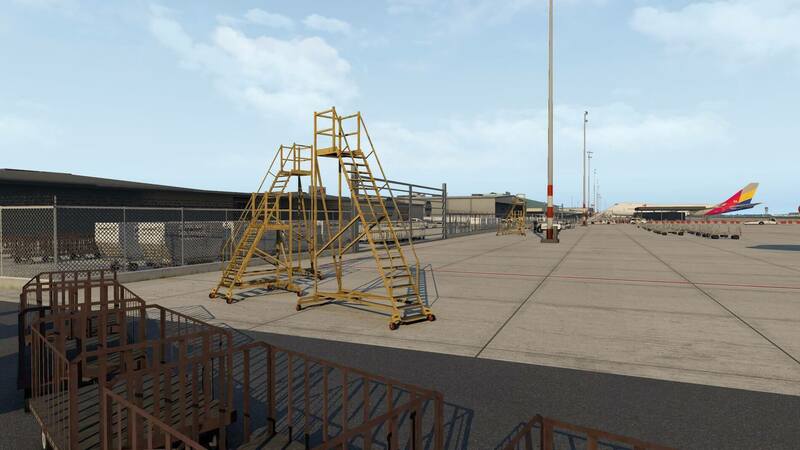 Following my way along the aprons 4 and 40, and also the taxiway to runway 07R, this area is basically designated for extended aircraft parking. Not easy to spot, but I’ll do that later in this review, are the entrance roads to the arrival/departure of the main terminal. Nearby I see one of the car parking areas which are huge and quite realistic although you might think different. 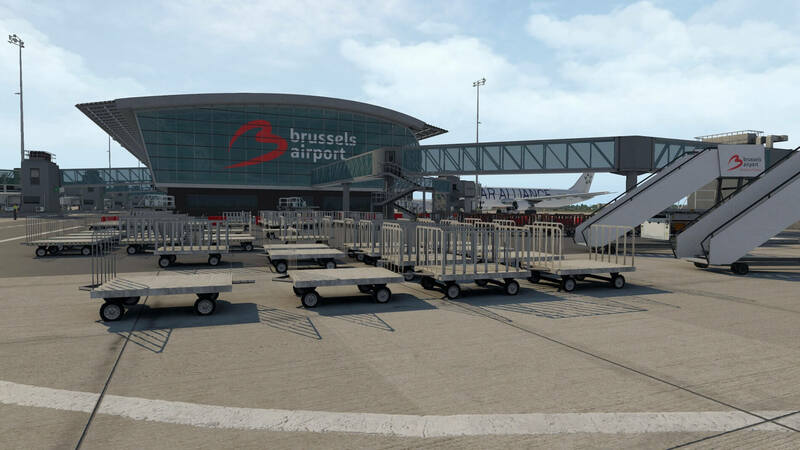 So, apron 40 offers space for the brand new TUI hangar and Brussels Airlines. 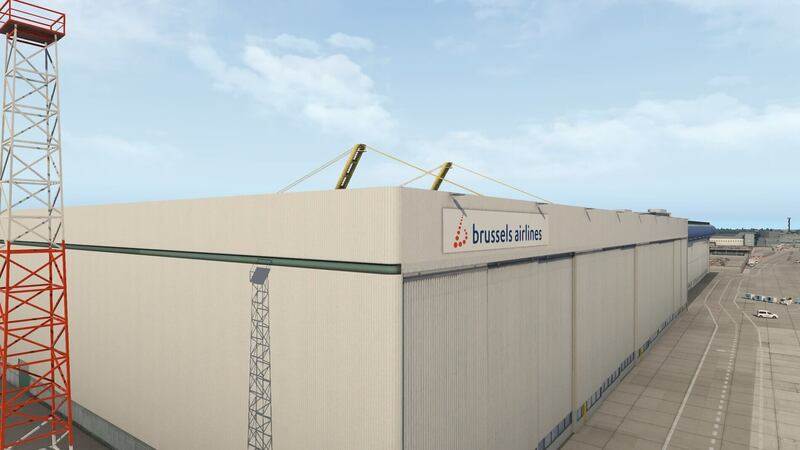 The Brussels hangar is a bit more “standard” although still modeled with great precision, but the TUI hangar looks awesome. It’s really a pleasure to look at. That said, enjoy these screenshots. And I shouldn’t forget to look at the “public” area of these hangars. 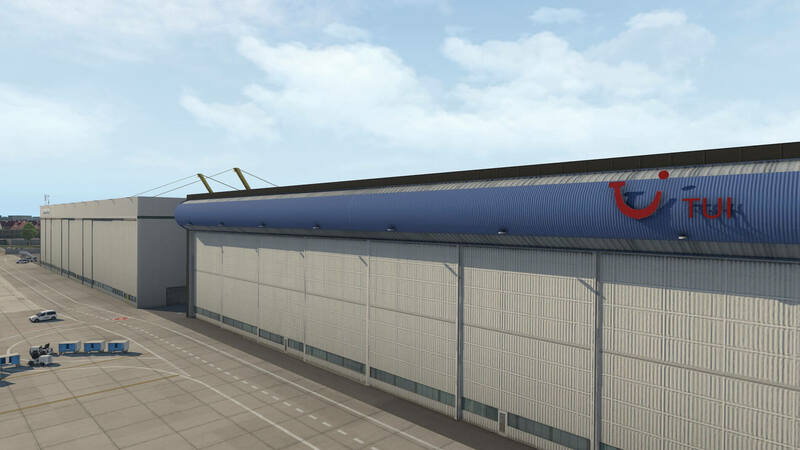 The entrance side of the hangars or actually the maintenance area for TUI, Brussels Airlines, Sabena technics hangar/work shop, it’s not forgotten at all. Only remark I have, but this is what you see with almost every scenery developer, are the blurry ground textures outside of the custom area. 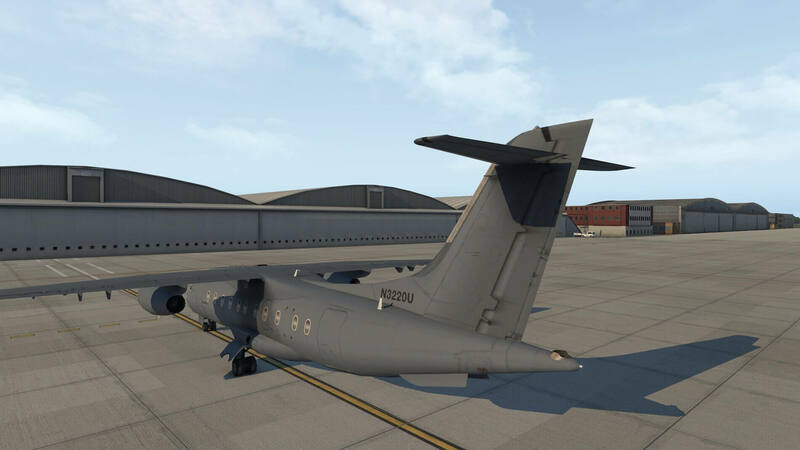 Before moving to the cargo, Lufthansa Technik and MIL aprons, I think it’s time to check out the aprons 50 and 60. These aprons, identified with the numbers 51b, 51c, 53, 54, 55, 56 and 60, is actually a mess. Don’t get me wrong, it’s how real as it gets, so that’s perfectly modeled by JustSim. It’s just the numbering that feels not logic, but when you look to it, you find there and here, and there, and oops, there also small or bigger aprons. That said, I try to give you an idea how it is organized and how this area looks from hovering above the airport. I think the previous screenshots should have given you a good idea. Moreover, from the sky, looking down to this area, it gives me a very good feeling. 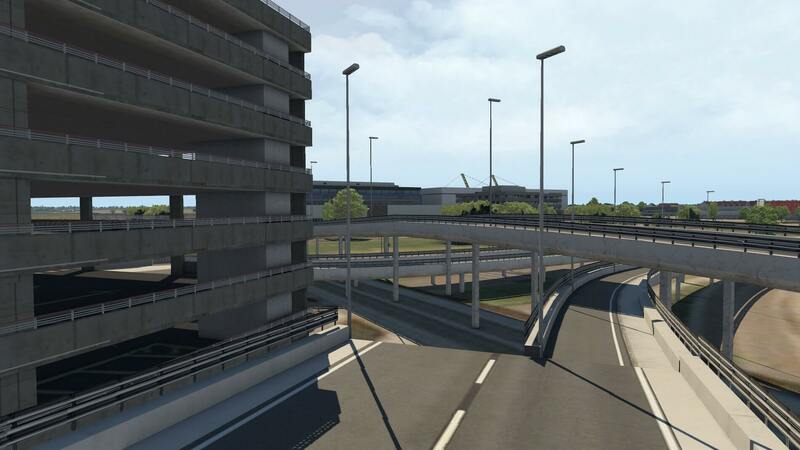 A good feeling that JustSim tried their best to make a great replica of this mixed up area. And yes, I’m almost lost in how all these aprons are numbered knowing that most likely there’s a logic why it is done this way. Never mind, what counts is how it is made and that’s very promising. Without doubt an area that offers the same quality, look and feel as I’ve seen with all the other areas. 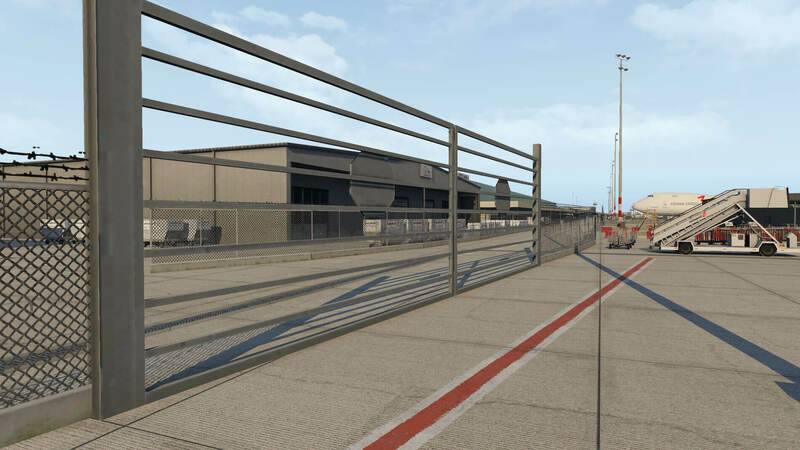 That I see so many static and animated ground objects is great, and that I see nice ground textures for the concrete or tarmac area, again, well done, but the area has also a lot of “dedicated buildings or constructions” and those, although not complex, look to me as real as I expected. 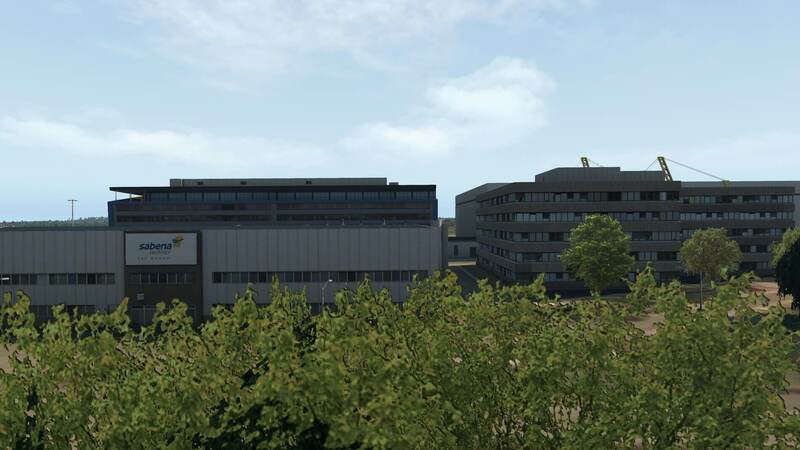 I can’t check every building or object with real photo material for the simple reason I can’t find them at the Internet, but knowing JustSim for a while, they try to make the best of it. I like what I see and I hope that you’ve the same feeling when you see the following screenshots. 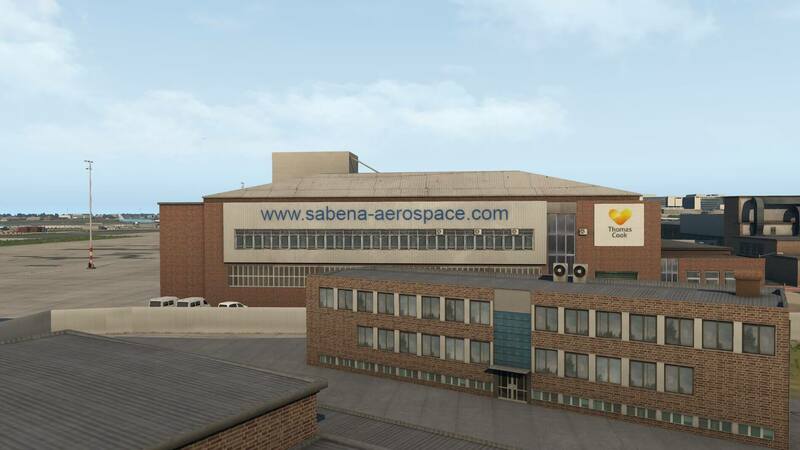 What I like most of this area, are the aprons in front of the Sabena Aerospace (Thomas Cook) hangar and the area near some DHL storage buildings. Don’t think this is all regarding DHL. 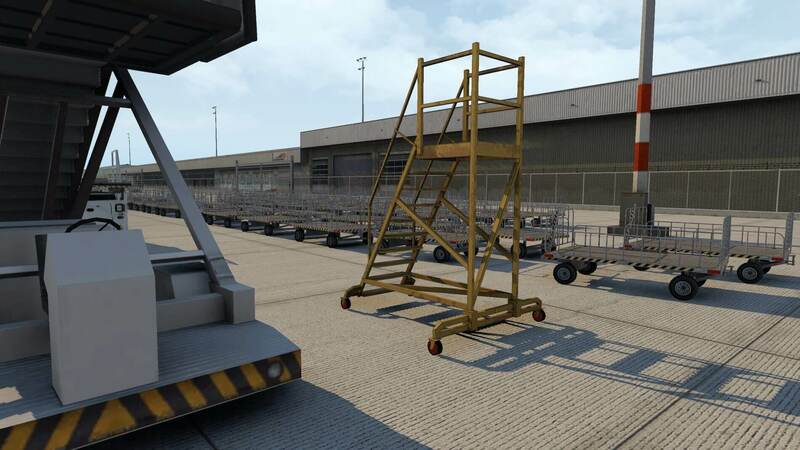 The cargo area offers lots of DHL apron space. Not strange since EBBR is an important hub for DHL. Anyway, have a look of the following screenshots and judge yourself. 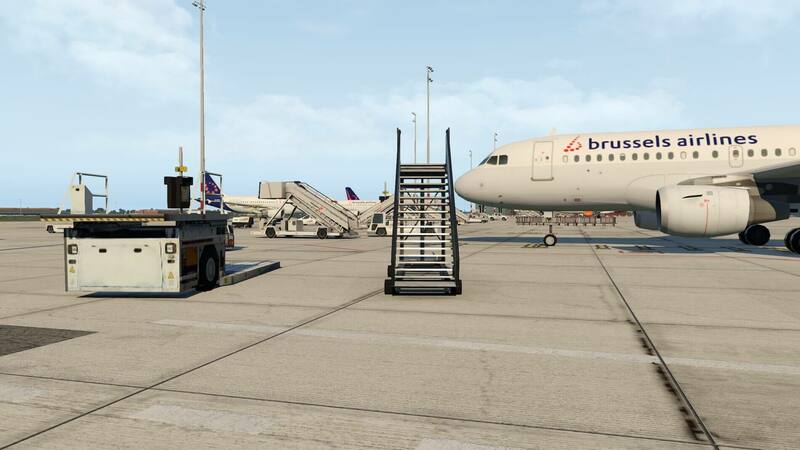 As you can see too, the aprons are mainly for parking aircraft, not intended for passenger loading/unloading. 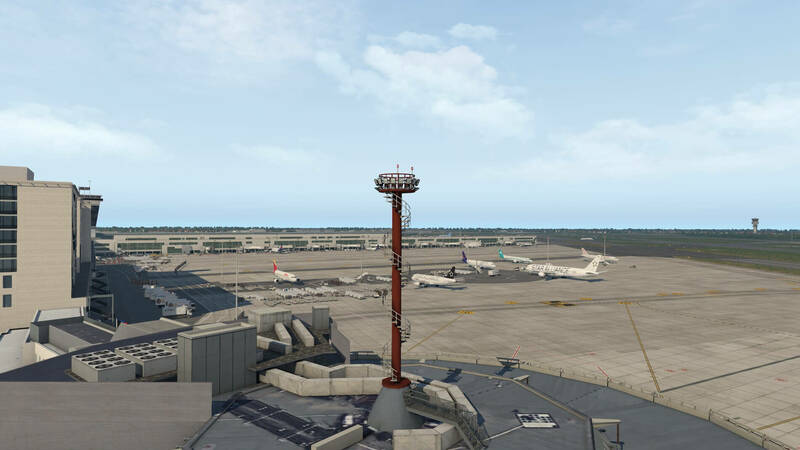 The fact that there’s so much to see and then not only the added World Traffic 3 aircraft, gives me a good feeling that this airport is worth it, but I’m not yet finished. You can expect it already … well modeled, eye for details, accurate reproduction, nice and crispy textures, as real as it gets and full with static objects to give it “that” feeling. Besides that DHL has a huge warehouse, Swissport and Aviapartner do have the same. 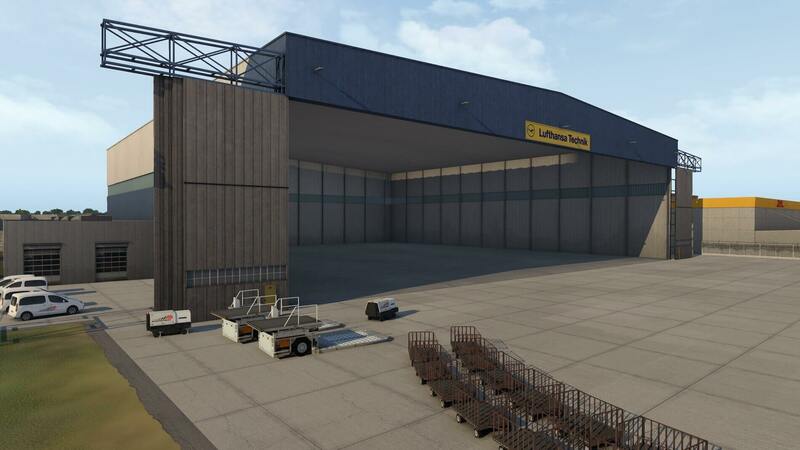 And it must be said although these cargo warehouses are quite straightforward, they look promising. 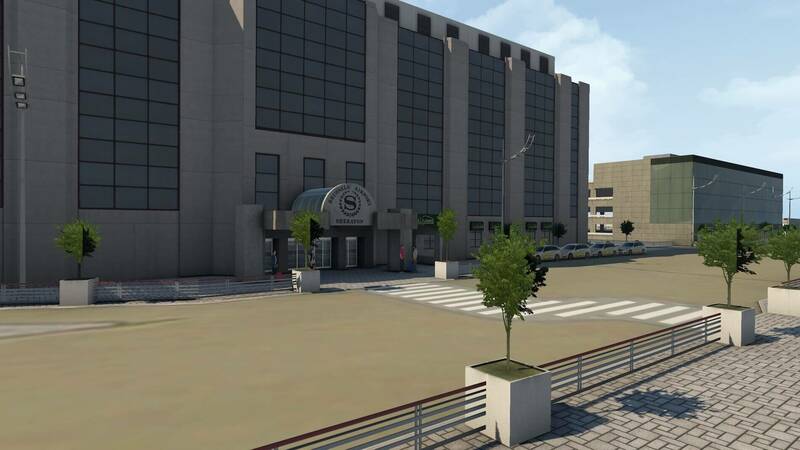 What I just described is the custom area, but JustSim didn’t forgot the public area. But what I mentioned before, the ground textures at that public area are a bit blurry. We all know why, but I find it every time a shame that blurry ground textures are used. 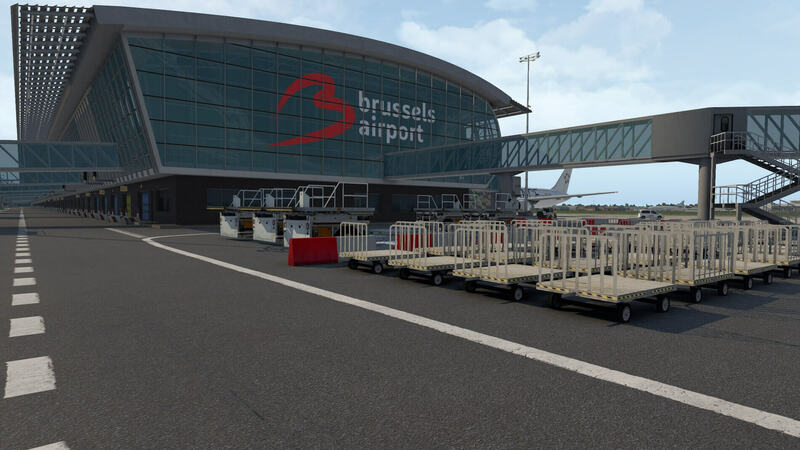 It has not directly anything to do with this review, but while I was for either Lufthansa Technical Training or for the Belgium Air Force at EBBR, I visited many times the Delhaize supermarket and guess what, JustSim modeled this. Ok, the sign on the building is a bit blurry, but I found it and not to forget, next of it you’ll find the Esso petrol station. Anyway, what I wanted to bring to your attention is the fact that a lot of time is put into the modeling of areas that aren’t directly visible from the aircraft. Perhaps there’s one remark and that’s a road that passes underneath runway 07L/25R. From the cargo area I can clearly see the road that is heading towards the runway and it looks like it passes underneath it, but then it’s in a sudden gone. 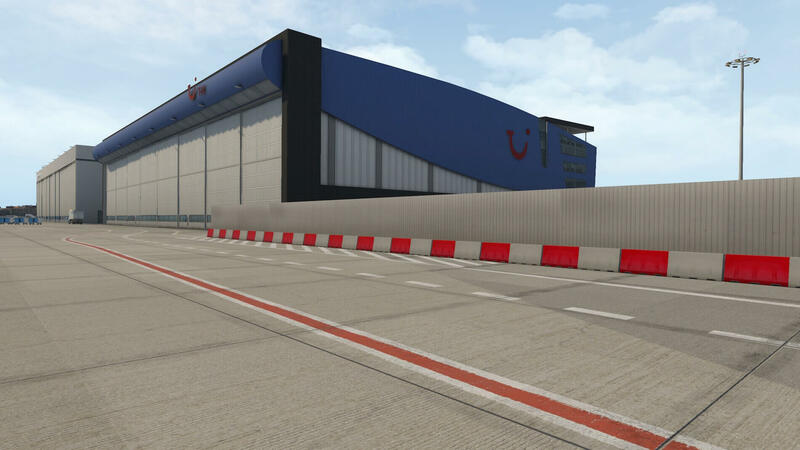 In-between the runway and the taxiway you can see on the ground texture that something should be there as well as on the other side of the taxiway where it enters the aprons 50, it’s only visible on a ground texture. No idea if JustSim ever had the idea to model this “tunnel”. It’s not shocking that it’s not modeled, but just to let you know and perhaps JustSim will update this at a later time. Ok, let me go back to the buildings or hangars or warehouses or just offices t the cargo area. Not only what’s visible on the apron side looks nice, it’s also what lies behind and perhaps this is an area you’ll never see unless you take off with a Cessna C152 and fly at low altitudes over the cargo public area. No, I’m kidding. You don’t do that, but I want to highlight that JustSim didn’t stop at the border between the custom and public area. Looking to all these static objects, the fences, the high quality and crispy ground textures and linings, it’s a pleasure to walk around here. That’s easier said then done since walking from the south side of the cargo to the far north where the Belgium Air Force is situated, is a long walk, but immediately I say, worth every minute/meter. 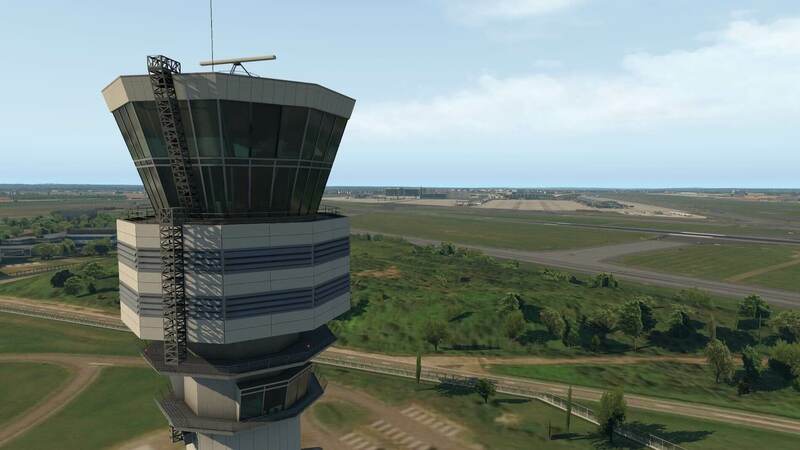 No, you didn’t miss it, I didn’t miss it .. the control tower. 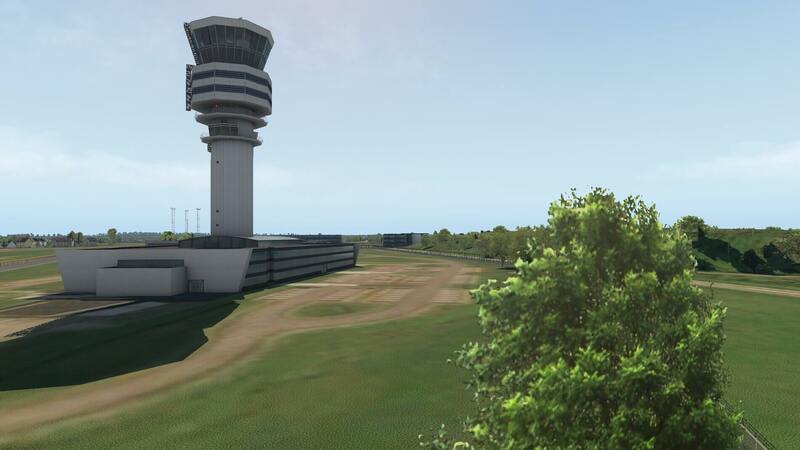 At the airport near the terminals or close to it, you won’t find the control tower. 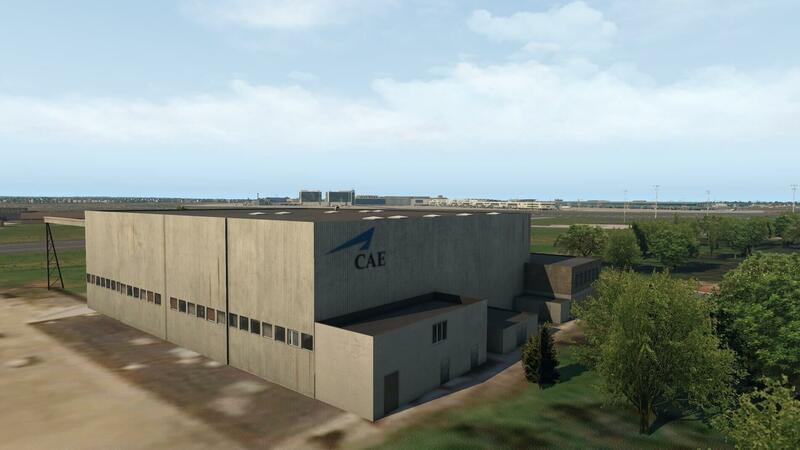 Instead, the tower is situated along runway 01/19 with a couple of other buildings, including a training center of the Canadian simulator manufacture CAE and the fuel depot. 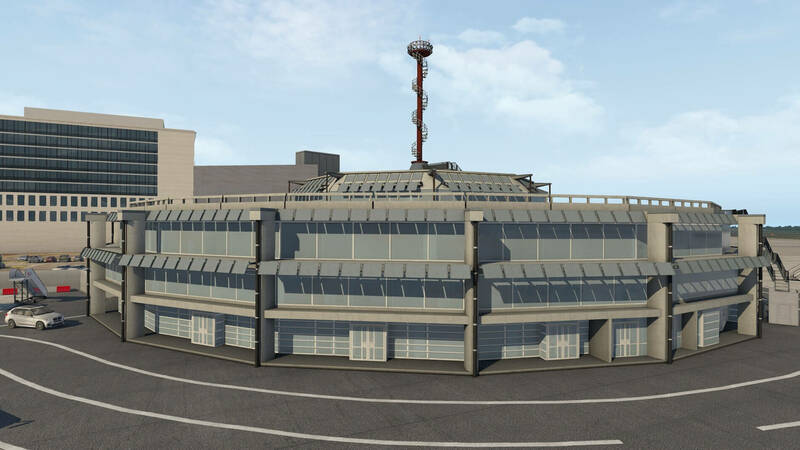 While searching for a good-looking photo of the control tower, I also found something interesting namely a SketchUp file of the EBBR tower. 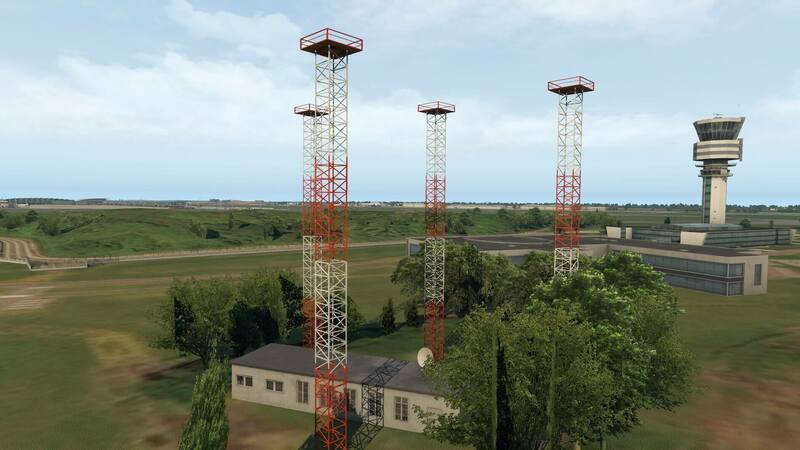 No no, the JustSim modeled tower isn’t the same. In other words, they modeled their own tower. 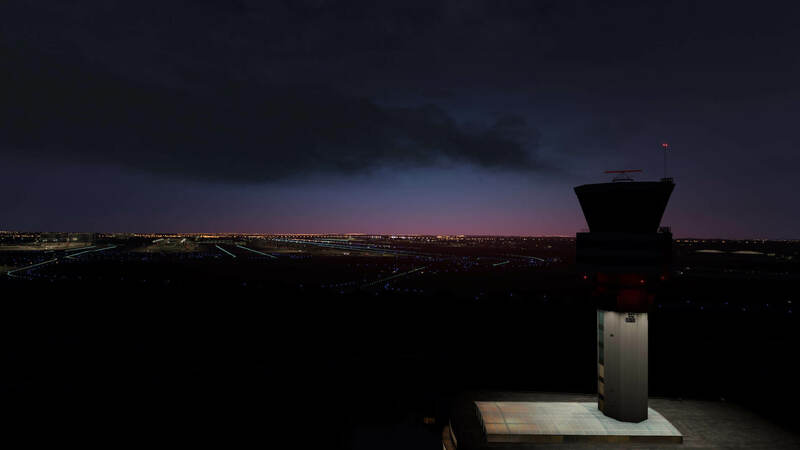 On the photo and two tower screenshots below you can see, no, you can judge for yourself how realistic the control tower is modeled. It’s very well done with eyes for all those tiny details. But there’s more in this area. 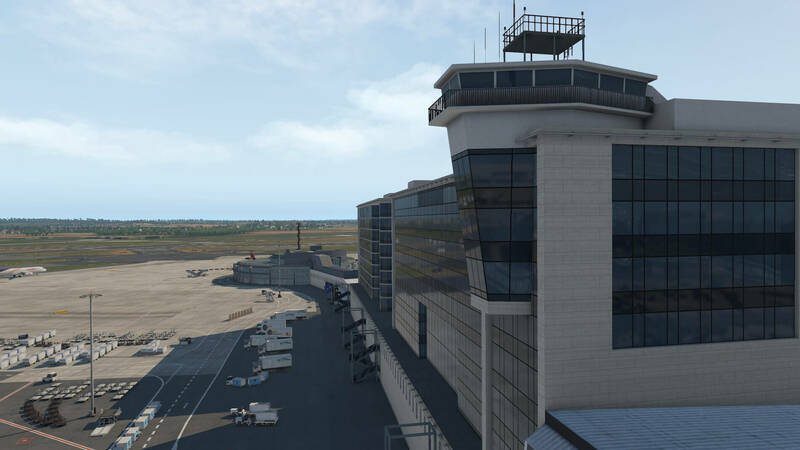 At the base of the control tower is a building which is again, modeled with great precision as well as the other buildings around this area. Is it weird to have this all in this area? No, it isn’t. Just look to the aerodrome chart and you’ll for yourself that near the control tower many other building or offices are situated. 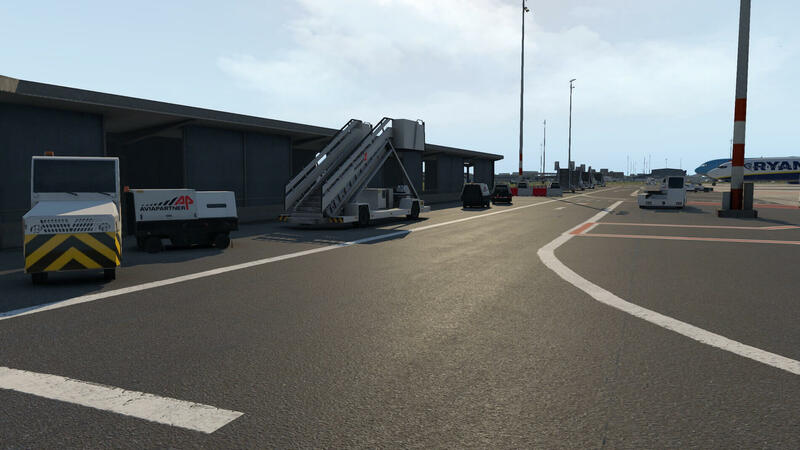 There’s one area that I haven’t touched yet ….. public airport entrance. Time to check that out, right? First I needed to find out where the entrance is to the arrival and departure. I’ll come back to something I noticed. 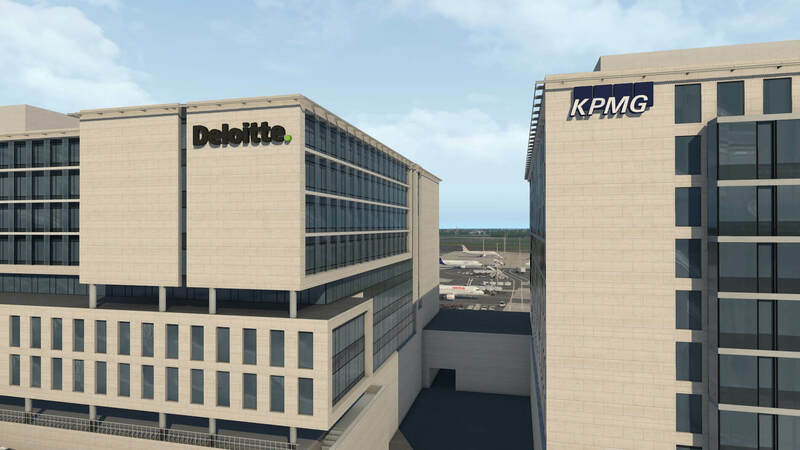 Along the KPMG and Deloitte buildings I found the arrival and departure lanes. Ok, the tarmac is a bit blurry but all other things around it are OK. 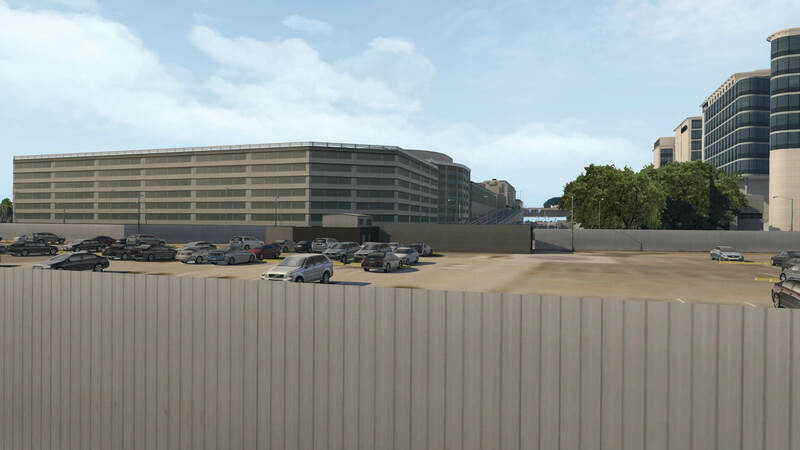 When I follow the lower lanes thus the ground floor level– it seems to be the EXIT and short park area, it feels that the passenger building isn’t in one way or the other not modeled. It’s open and open means I see the platform. 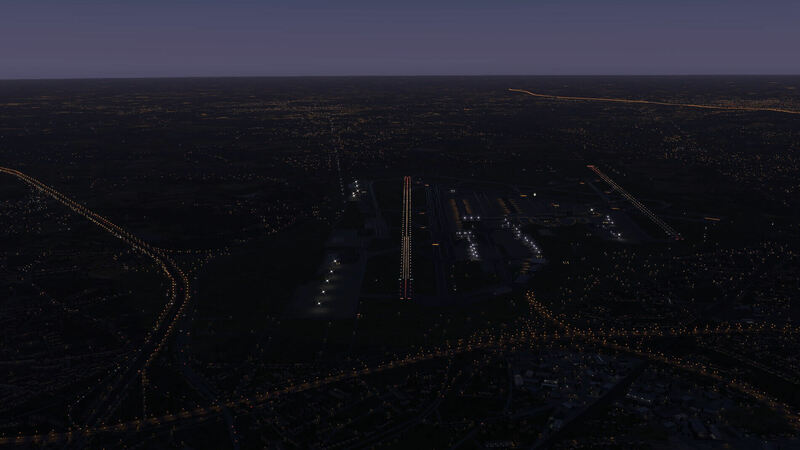 Ok, I have ticked “Runways follow terrain contours”, so I decided to untick it, restart X-Plane and see what happens but the end result is the same. 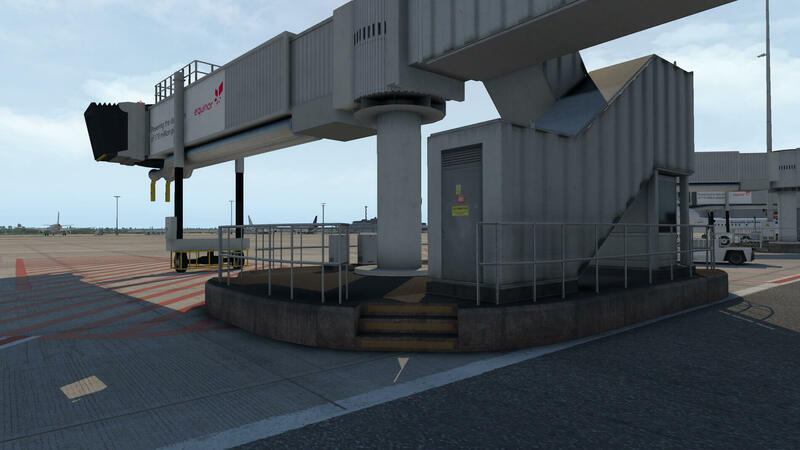 Ground floor level of the passenger terminal seems not to be modeled, or incidentally left open or I do something wrong? 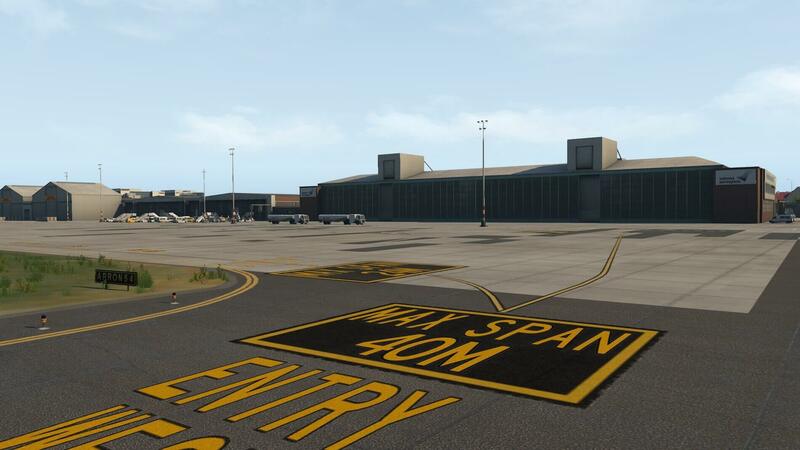 Time to go back and see how the departure level looks like. This seems only one lane to the entrance for the passenger terminal. 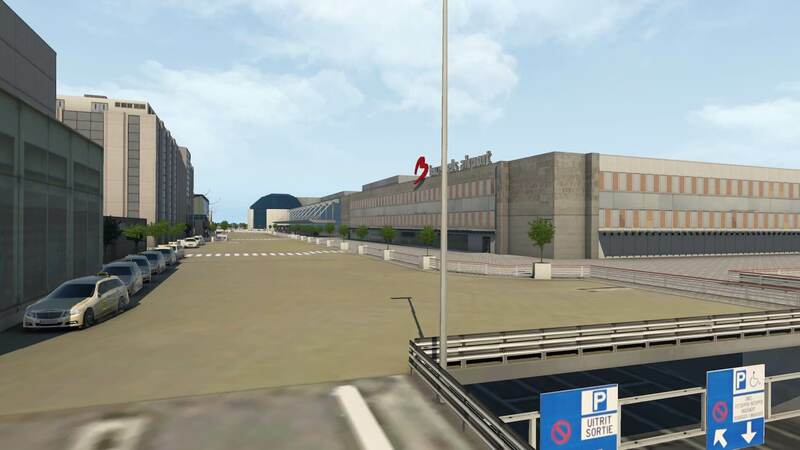 Ok, when I’ve reached this level, I see a well modeled passenger terminal, looks a bit old so that’s good news with lots of objects around it like trees, fences and the Sheraton Brussels Airport hotel on the other side of the street. At the end of the road, before moving down to ground level, it’s lucky a bit more crowded. The 3D people, no idea who made them and I know, frame rates are important, but then preferable a bit better 3D people quality. When I follow the road down to ground level, I run into a couple of problems. Either the road stops, or a dual lane suddenly becomes a single lane. Not easy to drive here. In other words, when JustSim comes with another update, then hopefully they have modified this too. I’m not sure how many of you who depart or arrive at EBBR will see all of this outside the platform, most likely not, but still worth to highlight these minor flaws. In the beginning of this section I mentioned something of the ground texture quality. Right, I did wrote this before and would like to highlight it quickly. The ground road textures are very blurry and sometimes it’s even for me difficult to see where a modeled road is pointing too since the photo real road textures aren’t always good enough to see what it is. I don’t know if they update this ground texture quality, but when JustSim leaves it as it is, then you’re aware of it. Lucky we’re all different, lucky we all use our X-Plane different, lucky one flies only during daylight hours, while others use “real time”. When you use real time, there’s a chance that you depart or arrive when it’s dark, right? 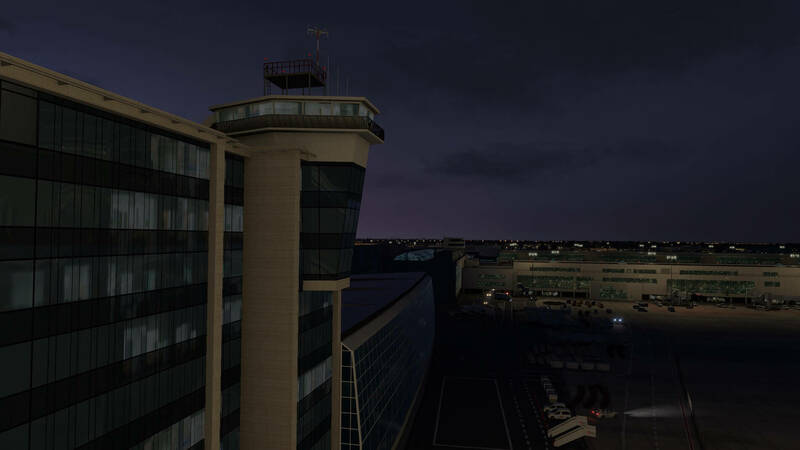 According to JustSim the airport has excellent night effects. The only way to find this out is checking it by myself. That makes sense right? Warning …. Attention …. Note …. (your warned now). 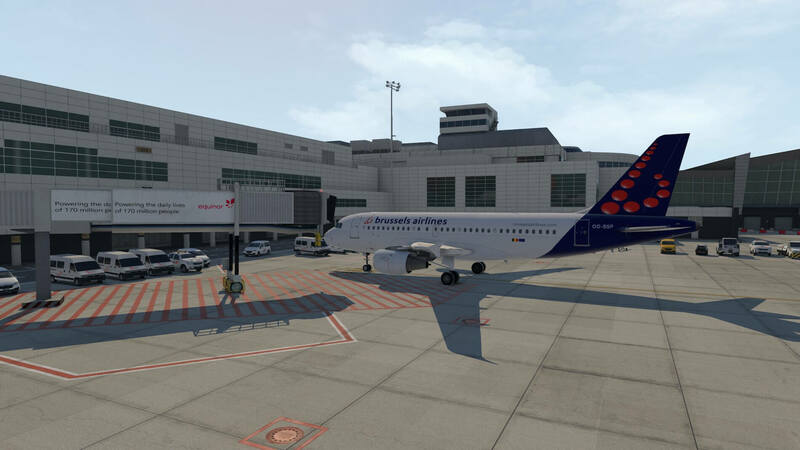 The first screenshot below is without the JustSim EBBR add-on airport installed. 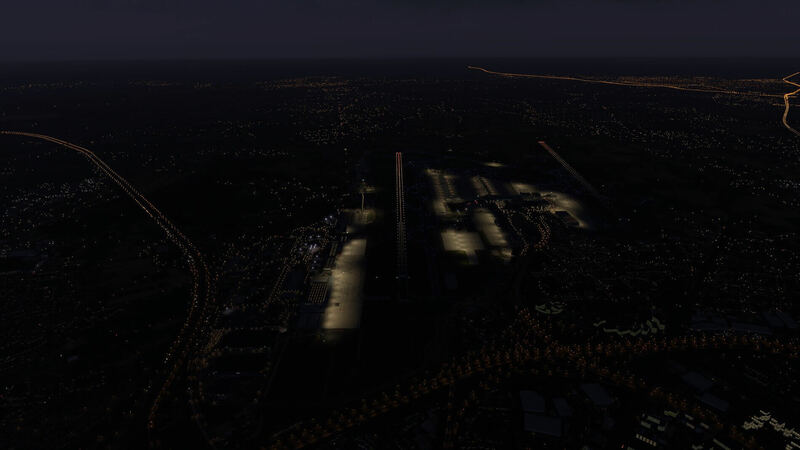 The second screenshot is with JustSim installed and you see immediately the big difference when it comes to excellent night lighting. 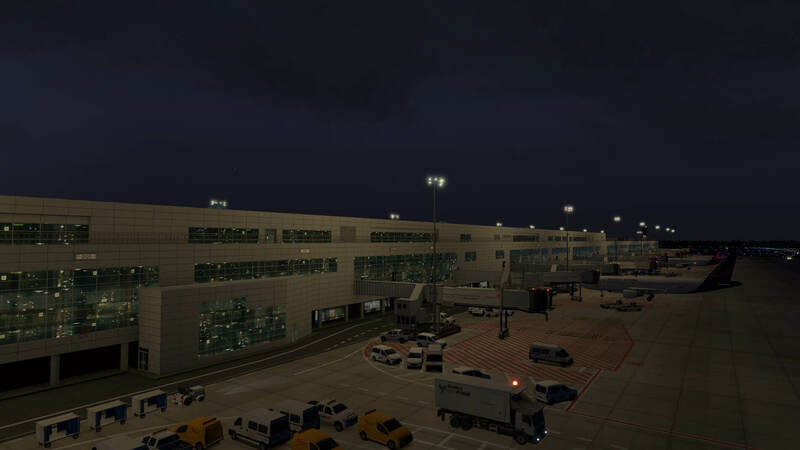 If it is excellent … I think most developers do a great job when it comes to night lighting. I can see and agree, the night lighting is realistic. So just in case you missed the previous paragraph …. 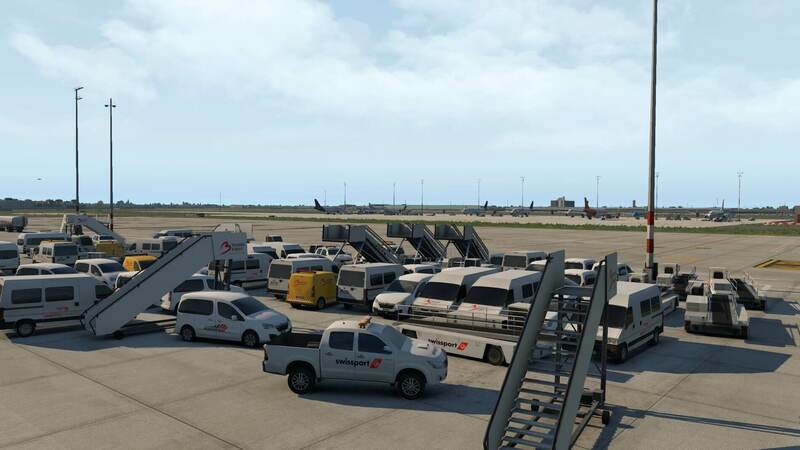 the first screenshot is without JustSim EBBR add-on airport installed while the second screenshot is with JustSim installed. Not difficult to see the differences, right? I just made a couple of screenshots to give you “the” idea. I think with these screenshots you understand what I mean. 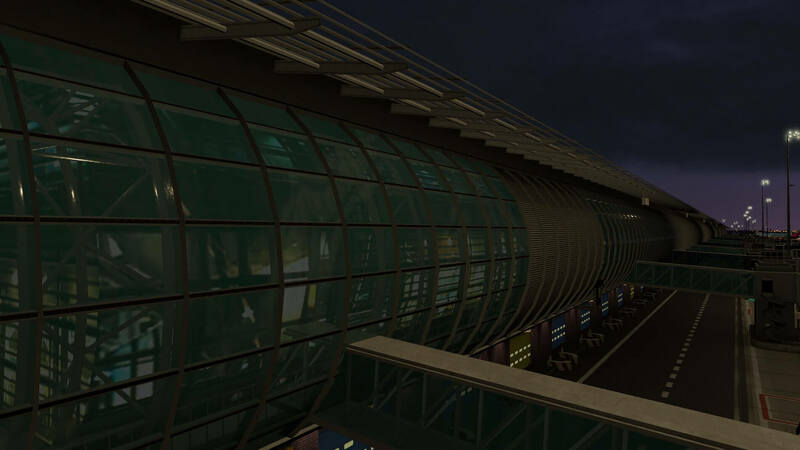 By daylight I liked the airport a lot, also because there wasn’t anything modeled before. By night, evening, sunset or sunrise, it gets another dimension. That the platforms are well illuminated due to the HDR, is not enough. 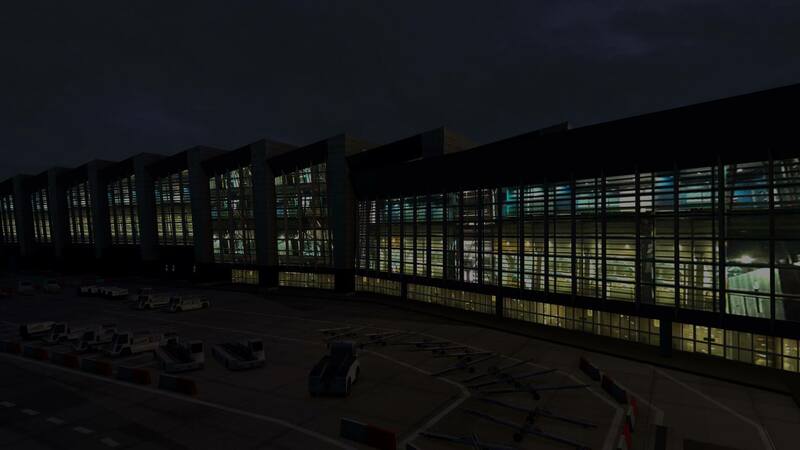 What counts to me for example is the perfect lighting of terminal A which is mainly made of virtual glass as well as the connection building to terminal B.
Belgocontrol requires the users of its AIM and Meteodata to identify themselves and assesses to what extent the information is used. By gaining a better understanding of our customers, we can tailor our products and services to suit their specific needs. That is why registration is mandatory. All information shared will be kept confidential, in accordance with the Belgian law on privacy protection. Belgocontrol retains the copyright on all information and data, whatever the format, form or representation method may be. No print of this publication (including individual and/or combined data elements) shall be reproduced, transmitted, broadcast or redistributed in any form or any way, for commercial or non-commercial reasons, without specific and prior written permission of Belgocontrol. Before I know, I’ve reached the end of this JustSim add-on review. Was it fun, was it worth my time, is it worth your money? Without any hesitation I say … absolutely worth my review time and worth every Euro cent or whatever your currency is. You and I may be lucky that the airport is quite compact and therefore there’s not a big chance that I forgot something to highlight. Of course, when I would, I could add many more screenshots to it, but then the review becomes a picture book and that is something I don’t like. A picture book is also nice, but not what I have in mind. 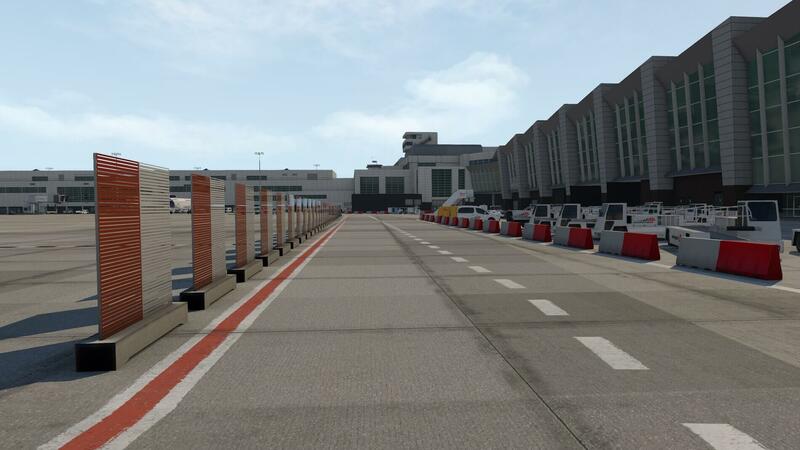 The overall JustSim EBBR airport is, more or less also applicable for all other JustSim airports, worth to buy. That the add-on package doesn’t come with a good manual is a fact, but perhaps in the near future JustSim will include a more detailed manual. Remember, although an airport is just an airport, knowing or recommendations for the correct rendering settings would be welcome which is also applicable if you need to select or not the “runways follow terrain contours”. What else can I say … go for it! 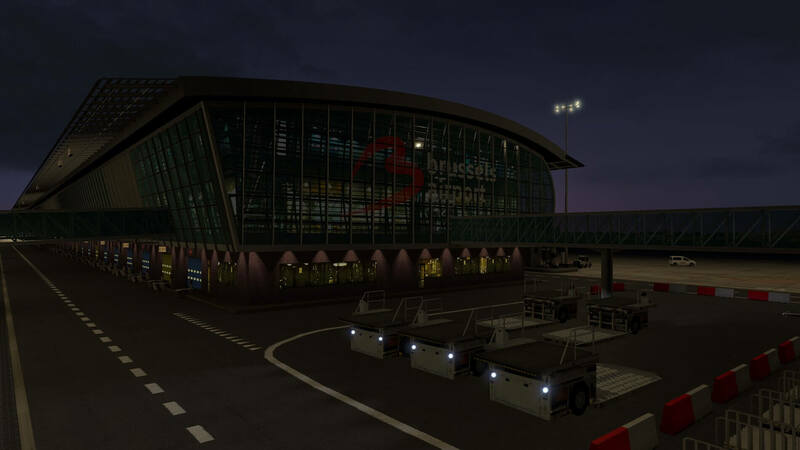 More information about the JustSim EBBR Brussels International Airport can be found at the dedicated X-Plane.Org store page or have a look at the JustSim Facebook page. As of this writing, November 17th 2018, the package price is 25.60 USD.